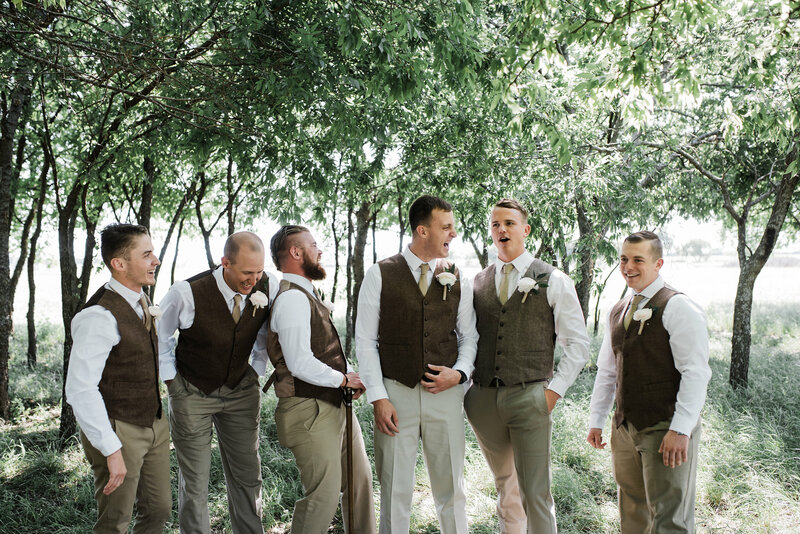 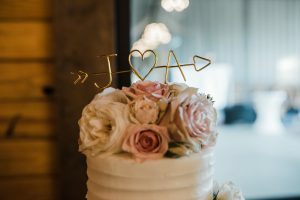 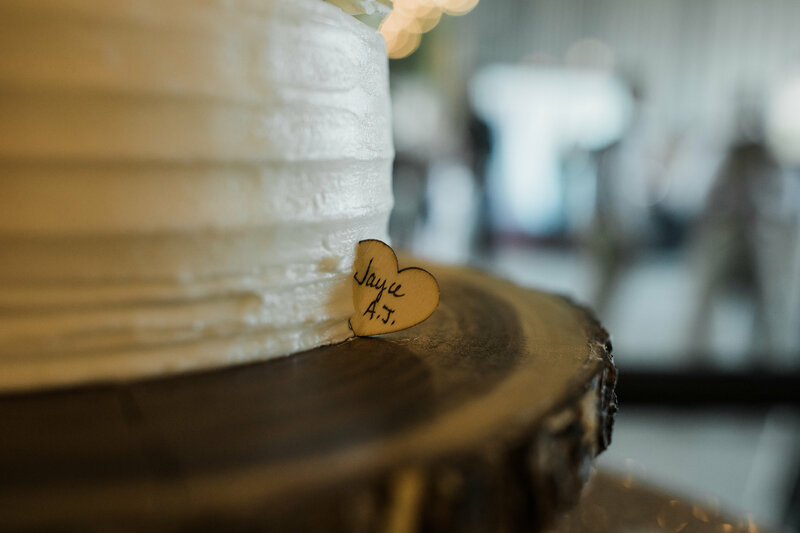 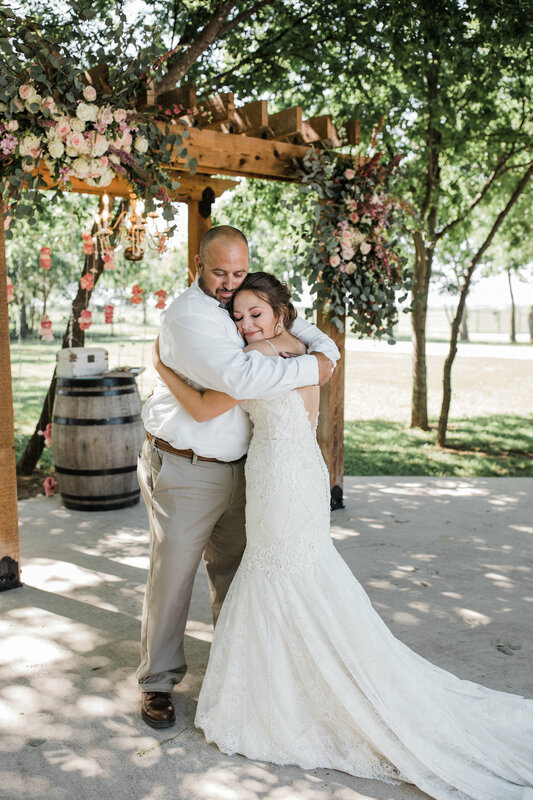 This wedding has us all in the feels, meet Jayce & AJ. 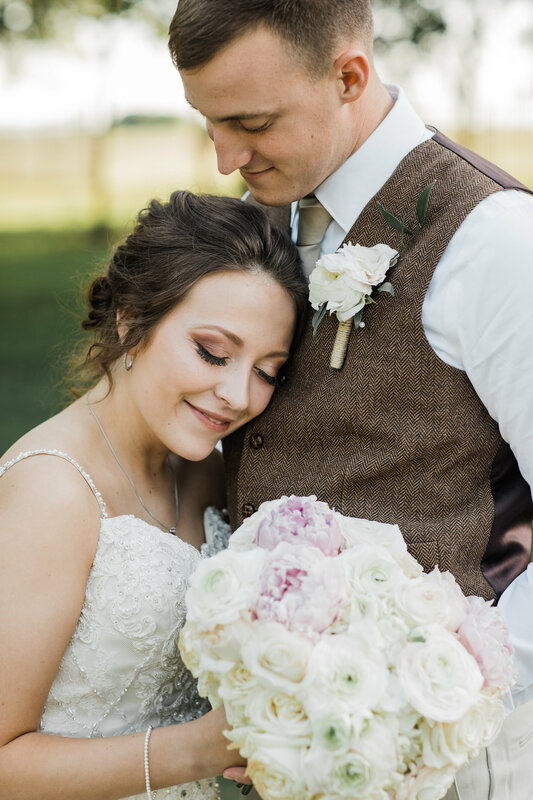 These two have known one another since 8th grade and their love still grows strong! 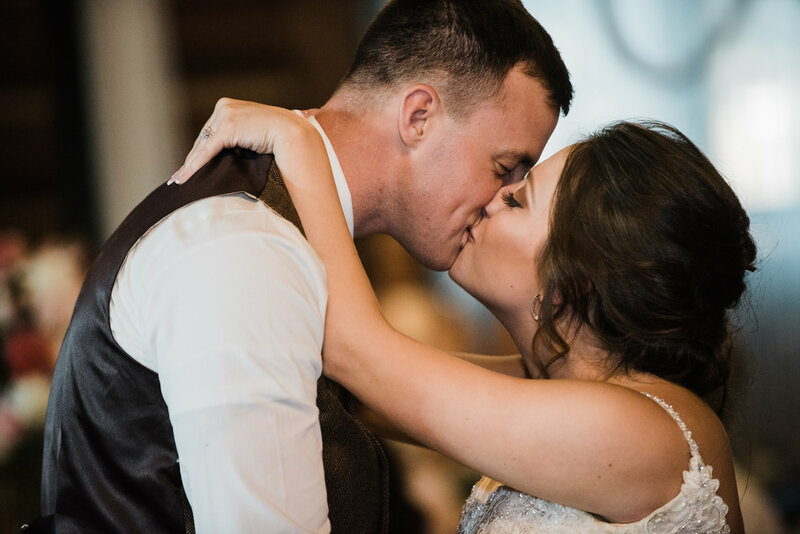 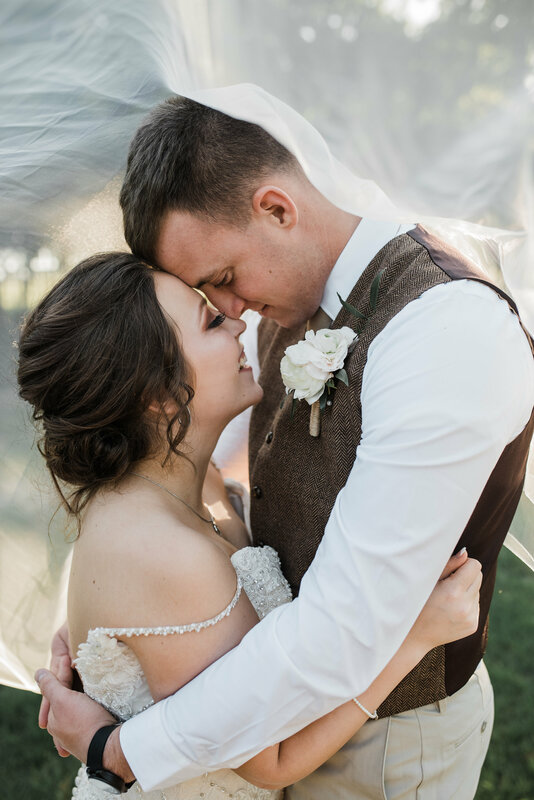 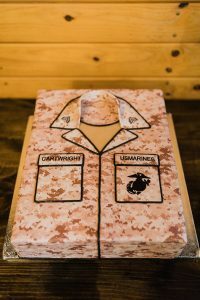 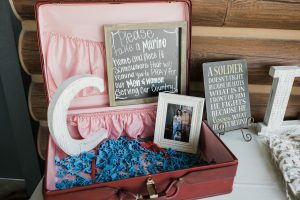 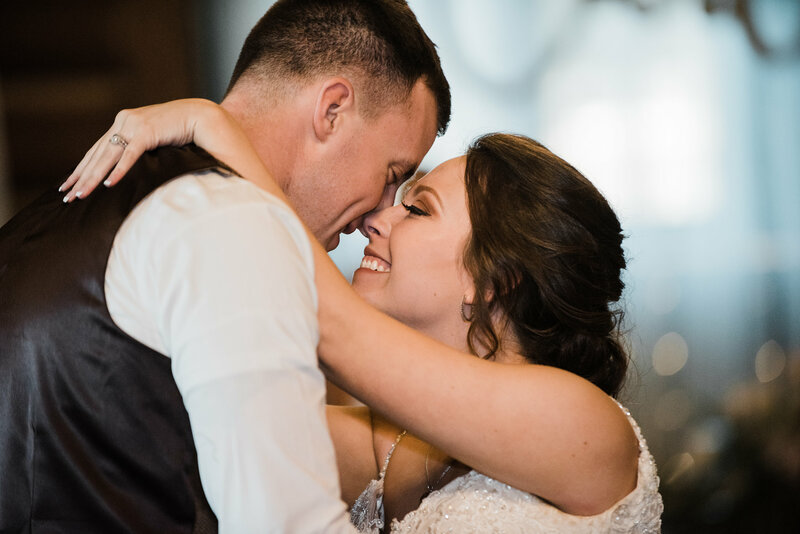 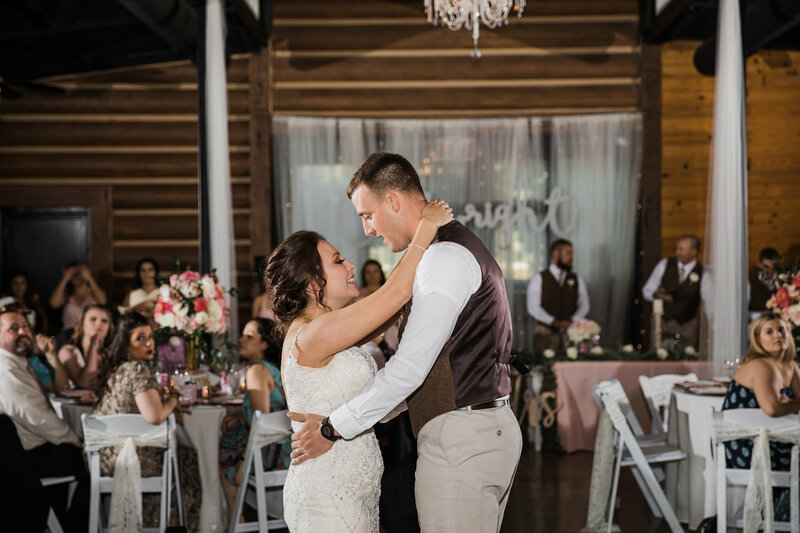 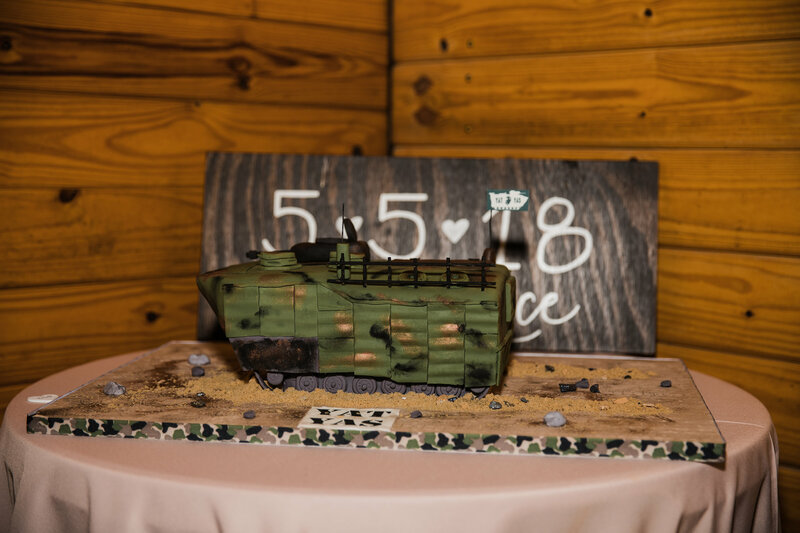 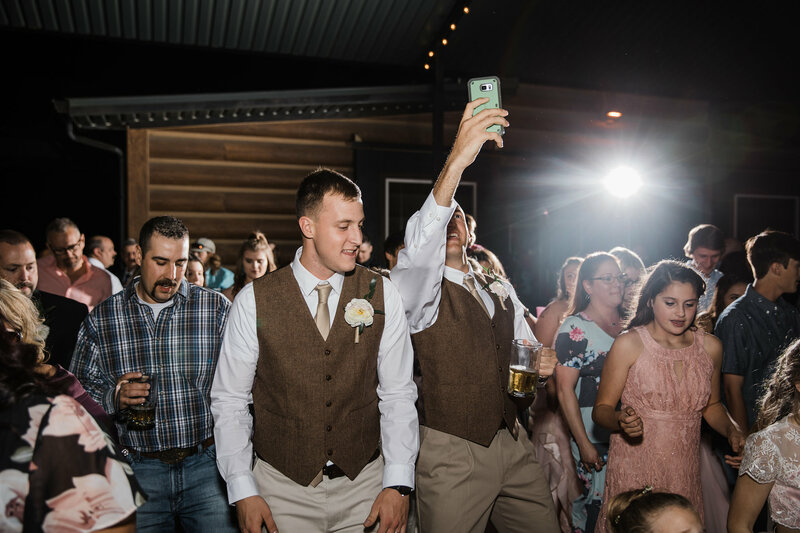 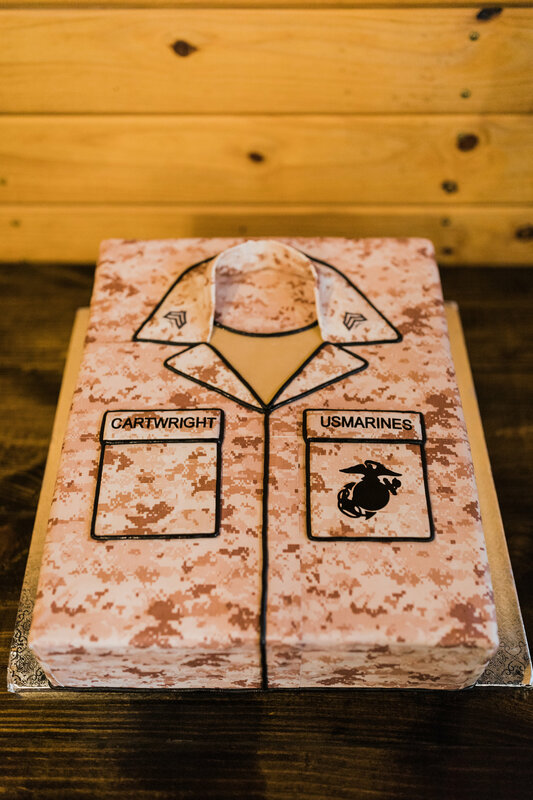 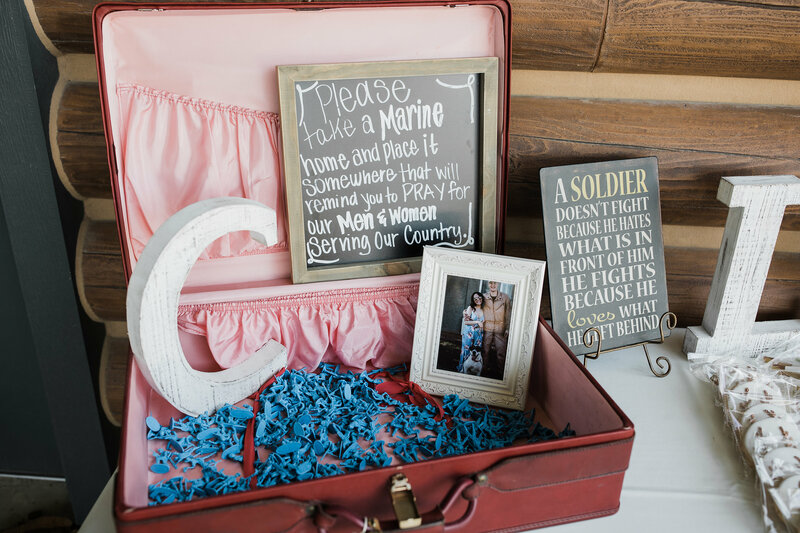 Aj is currently serving in our United States Marine Corps and after their wedding they will be residing at his new duty station in New Mexico. 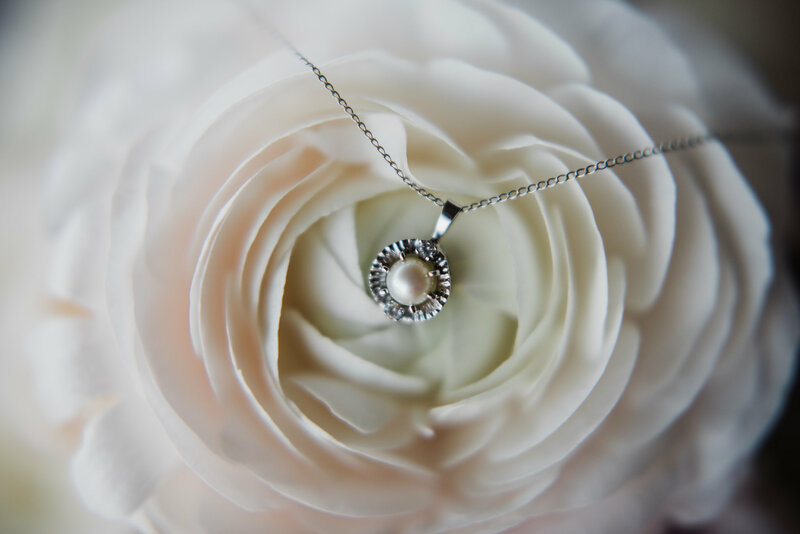 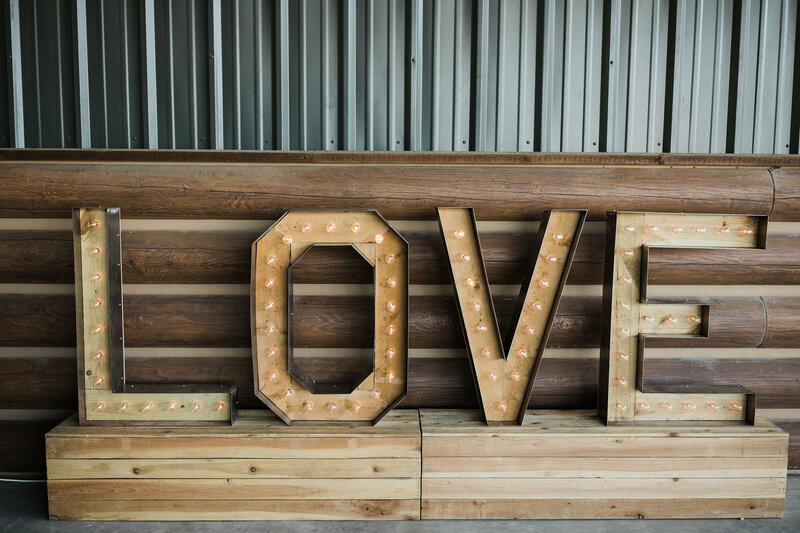 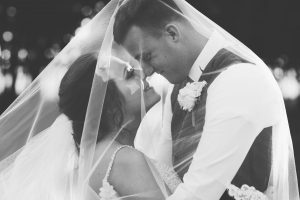 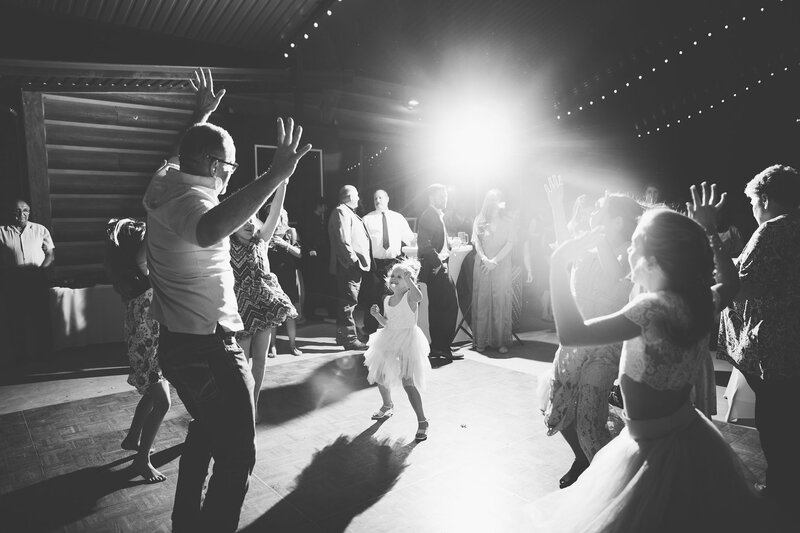 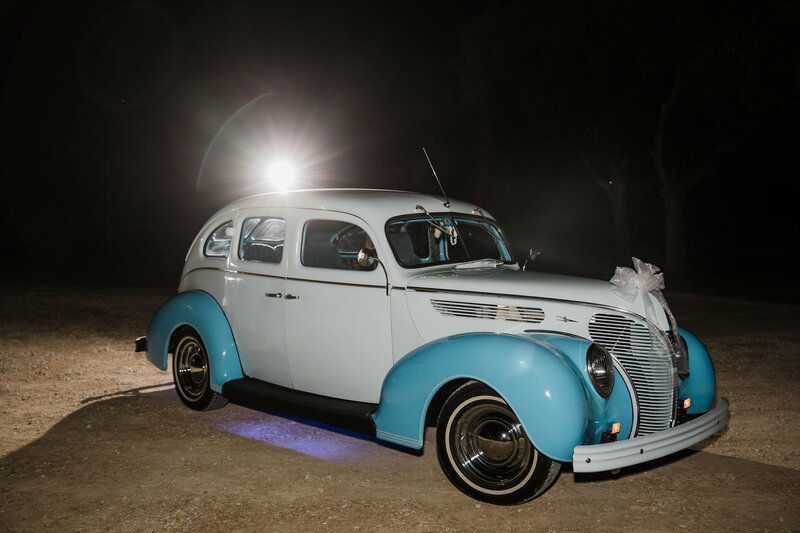 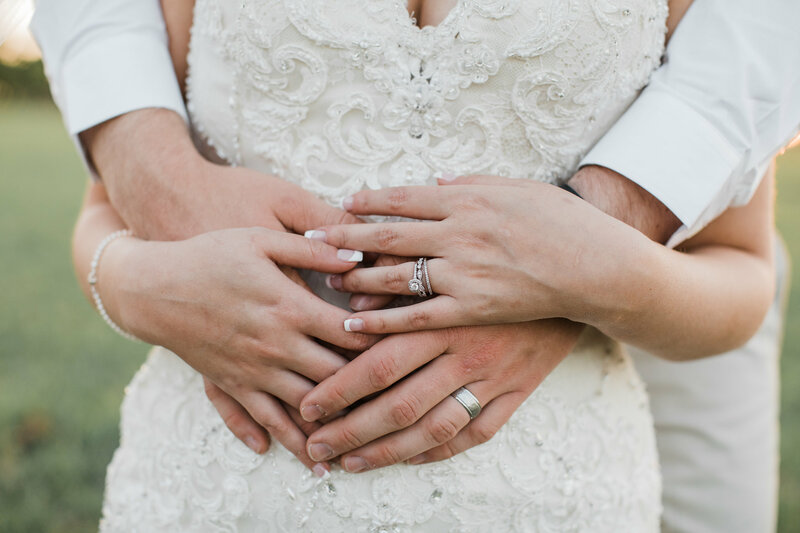 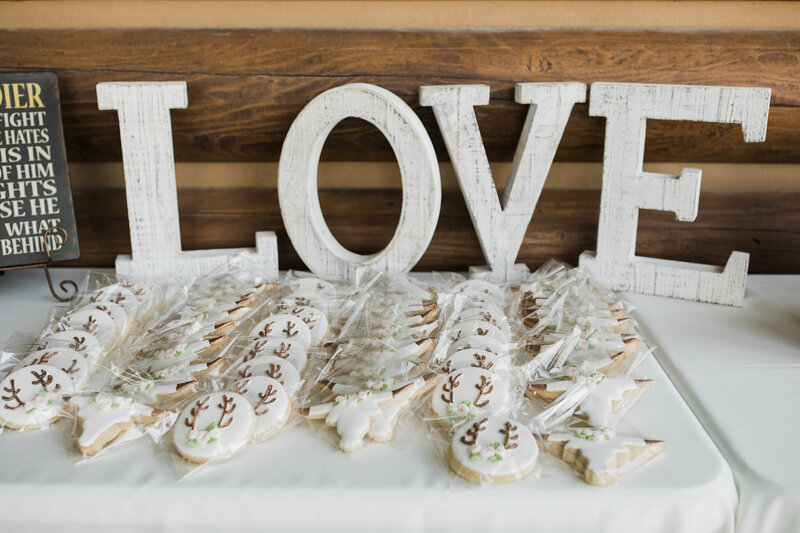 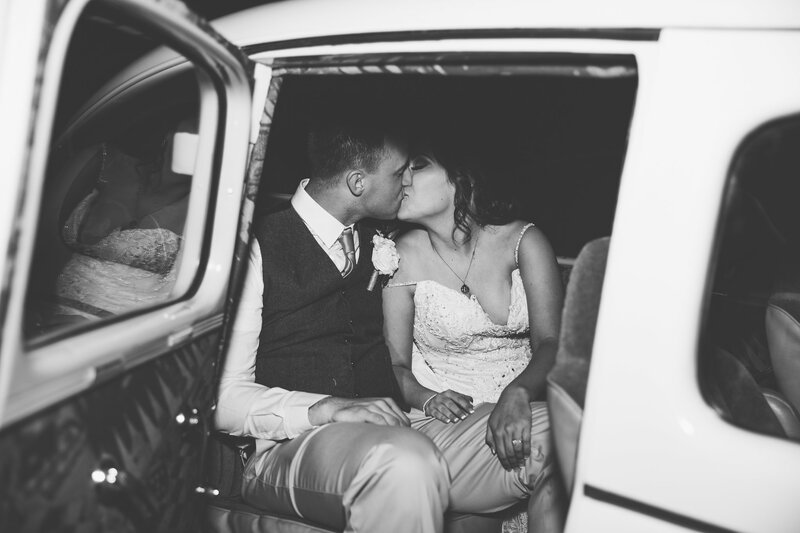 We loved every single detail of their wedding day, just take a look! 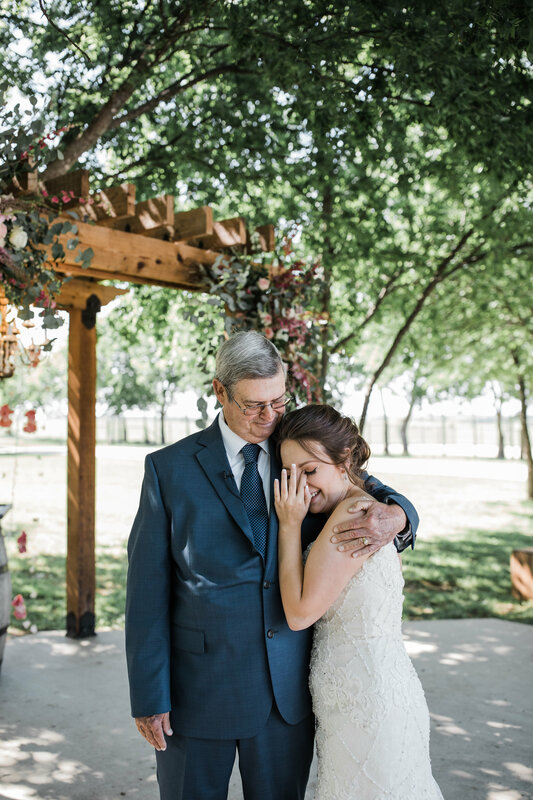 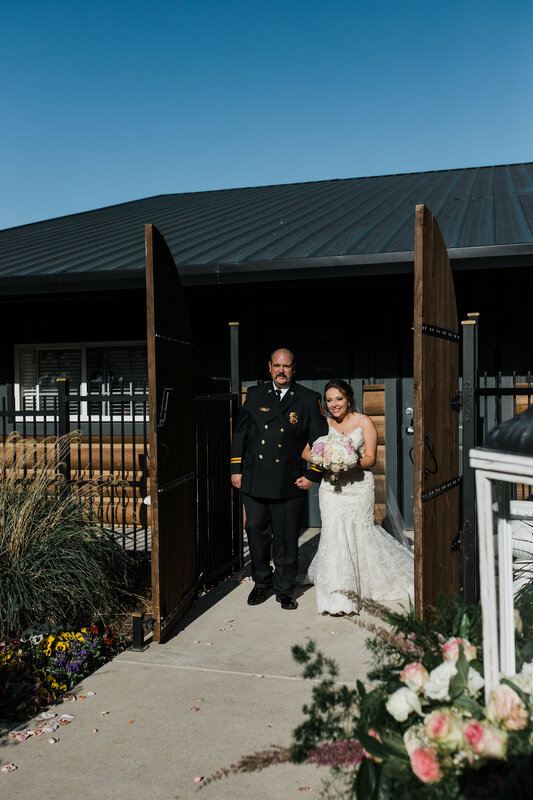 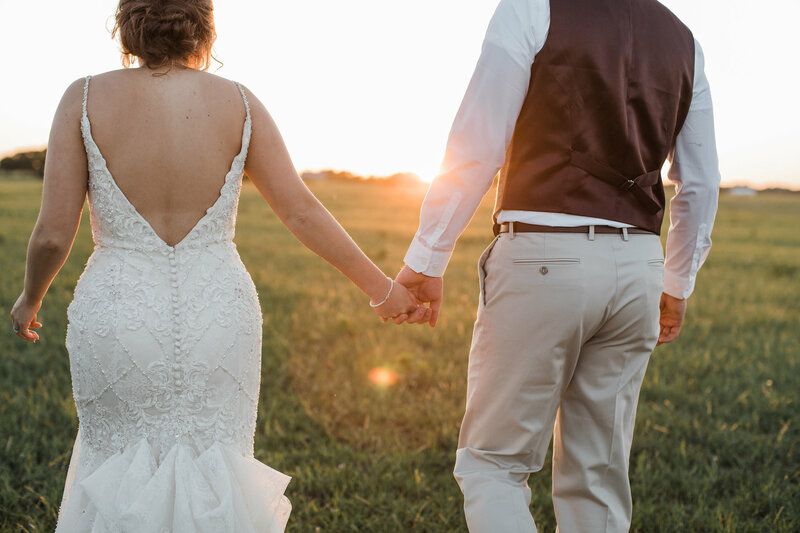 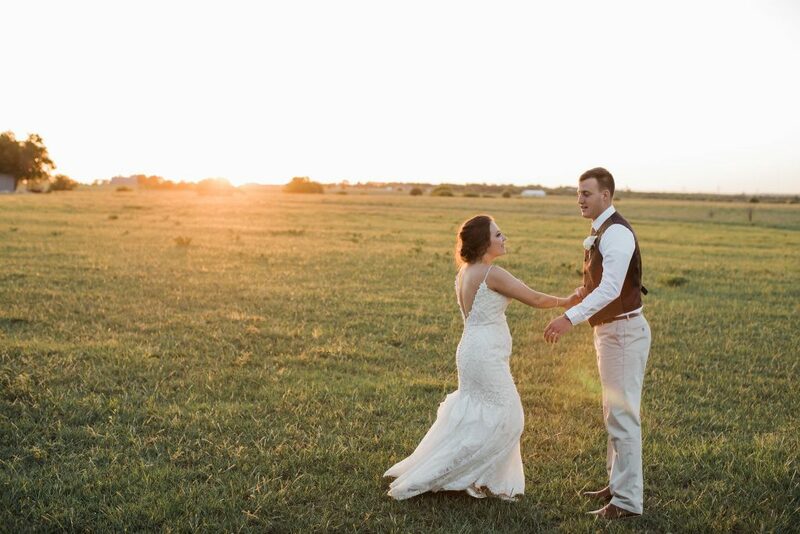 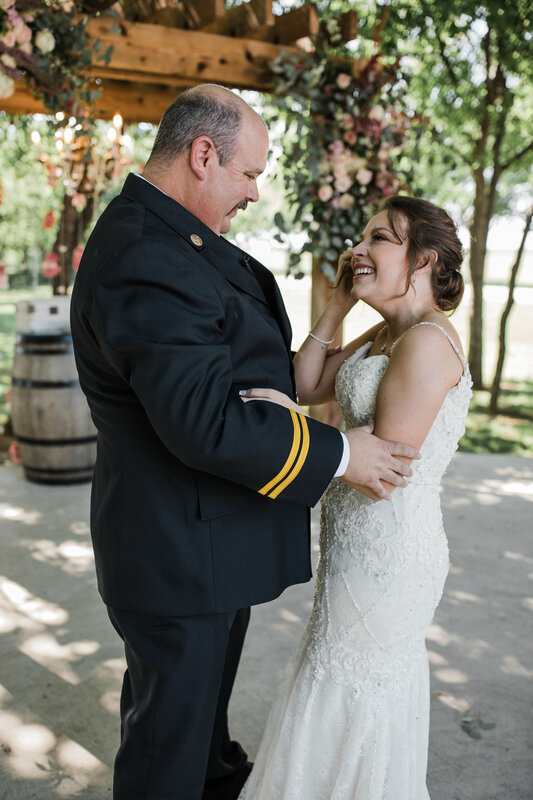 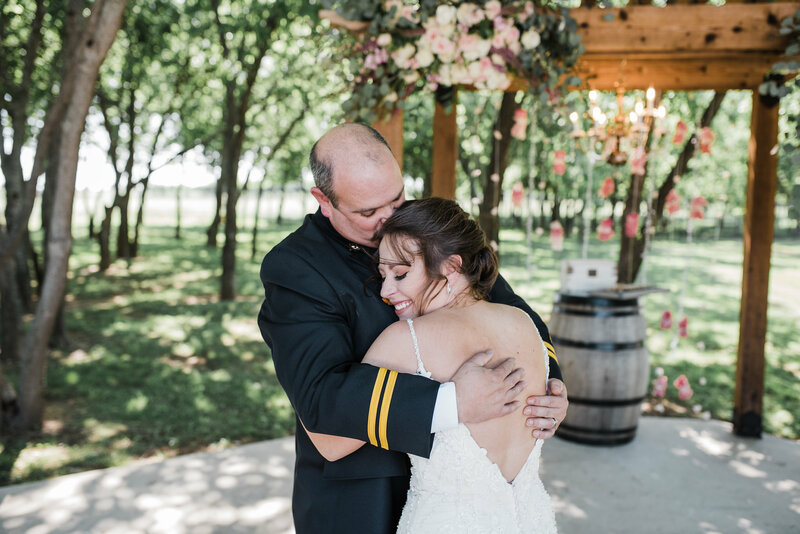 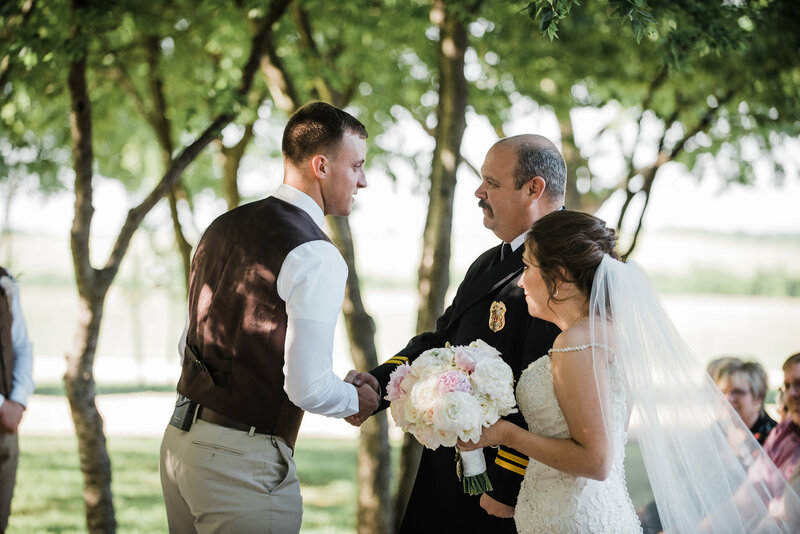 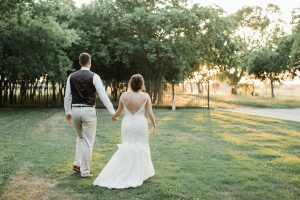 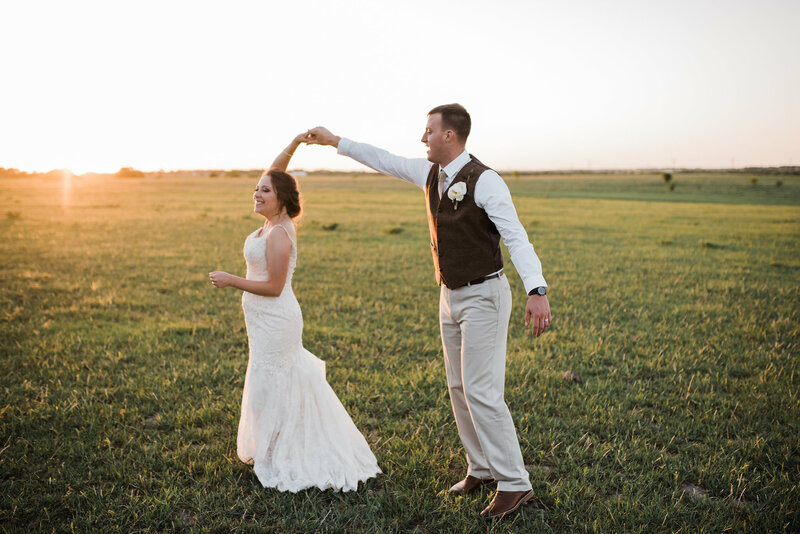 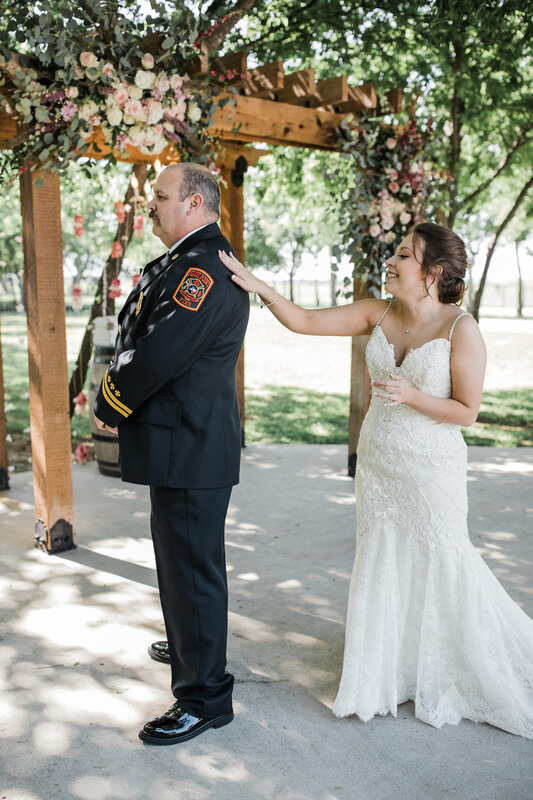 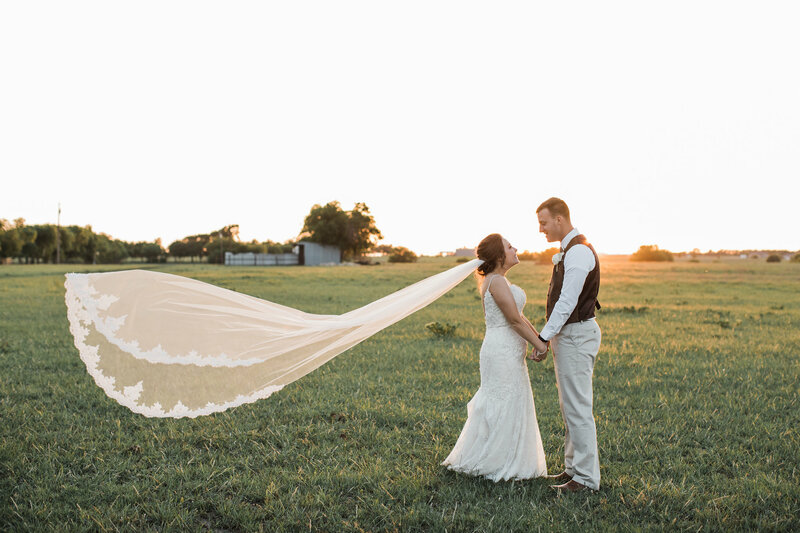 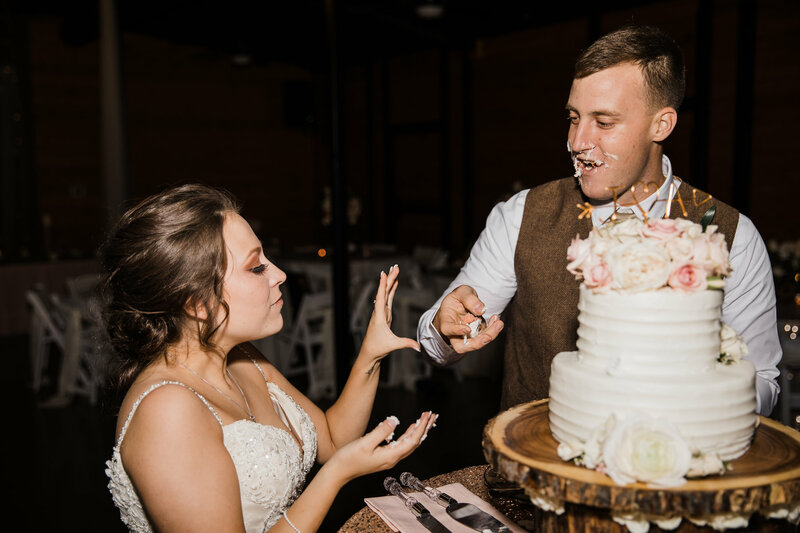 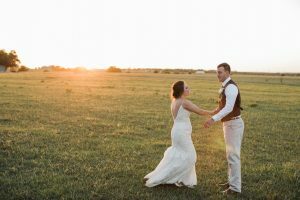 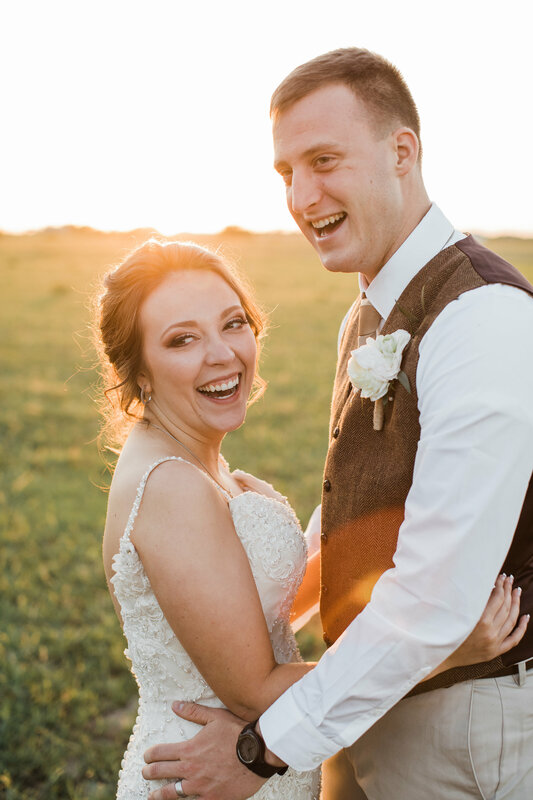 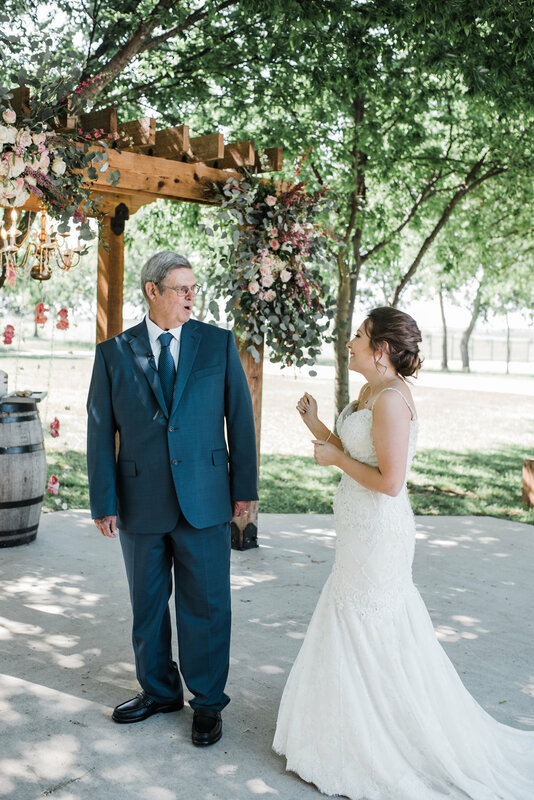 These two picked one of the most beautiful days that Texas has to offer, and intertwined the most elegant details. 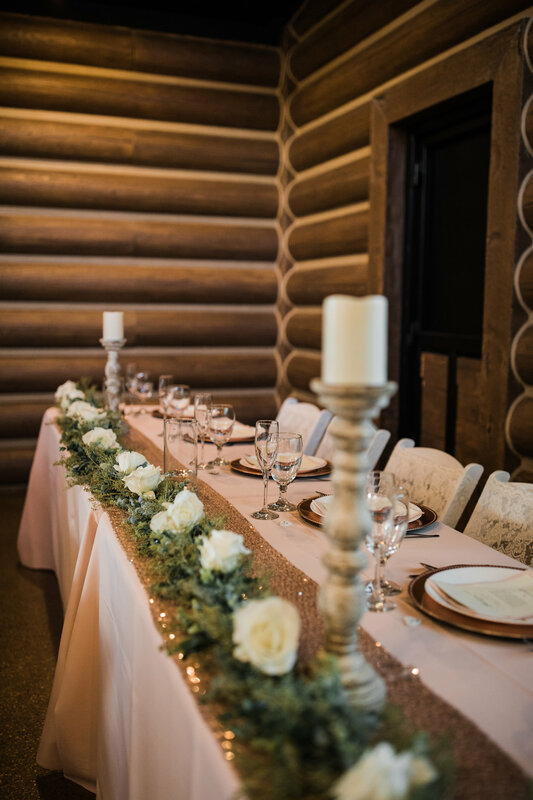 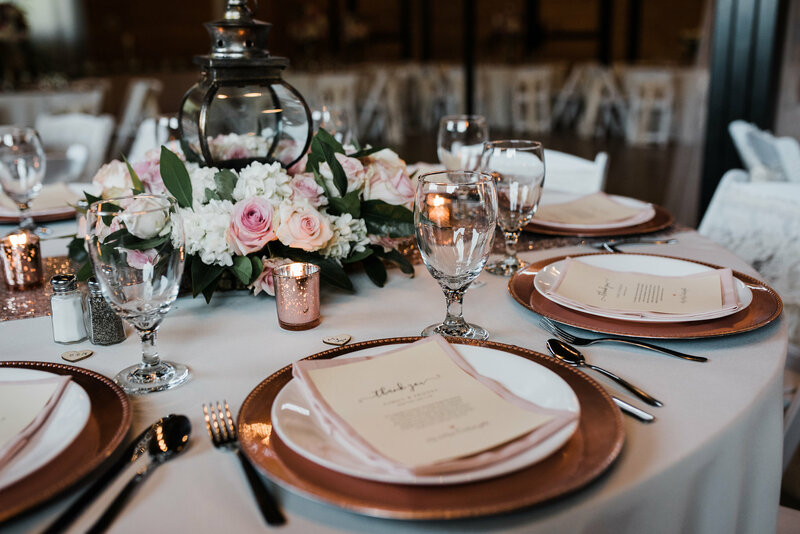 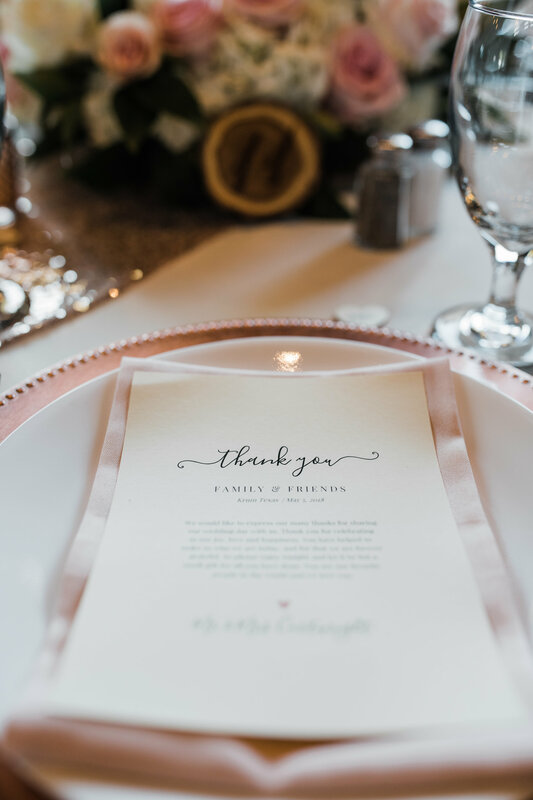 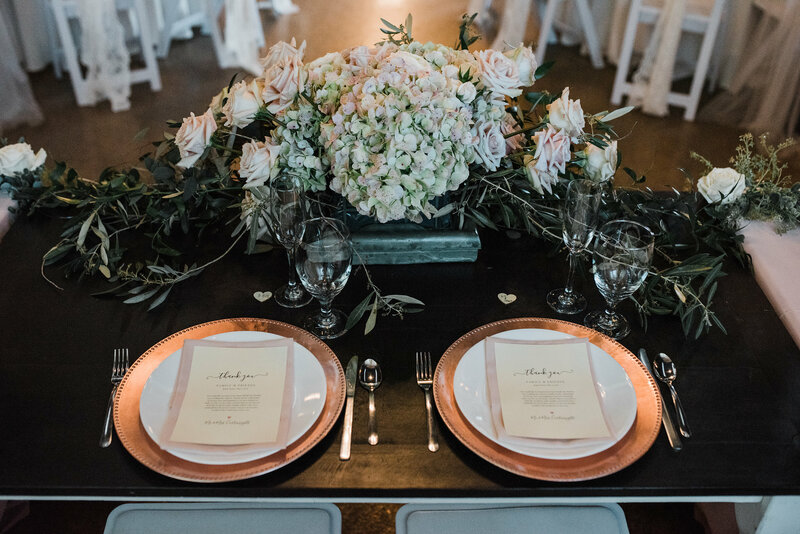 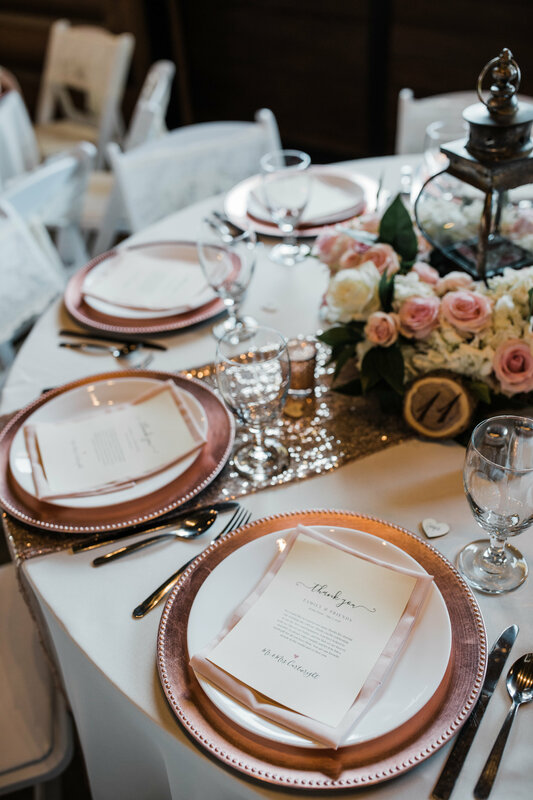 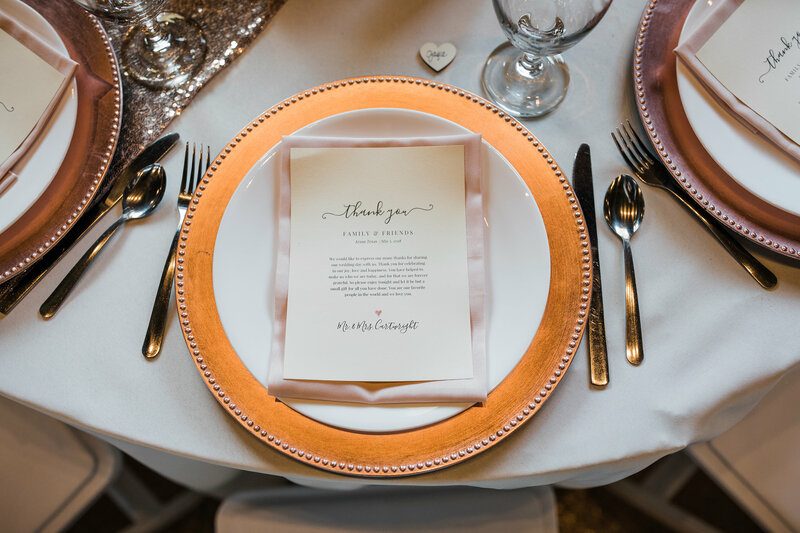 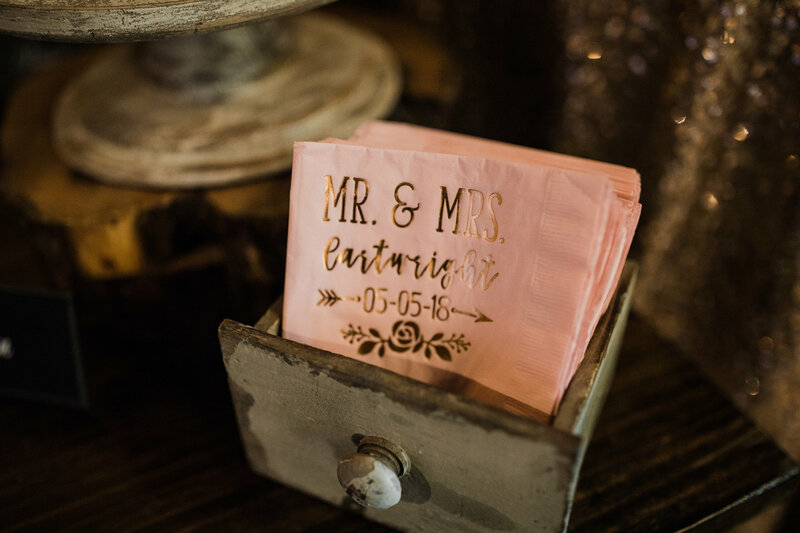 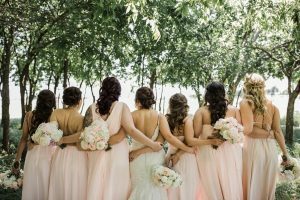 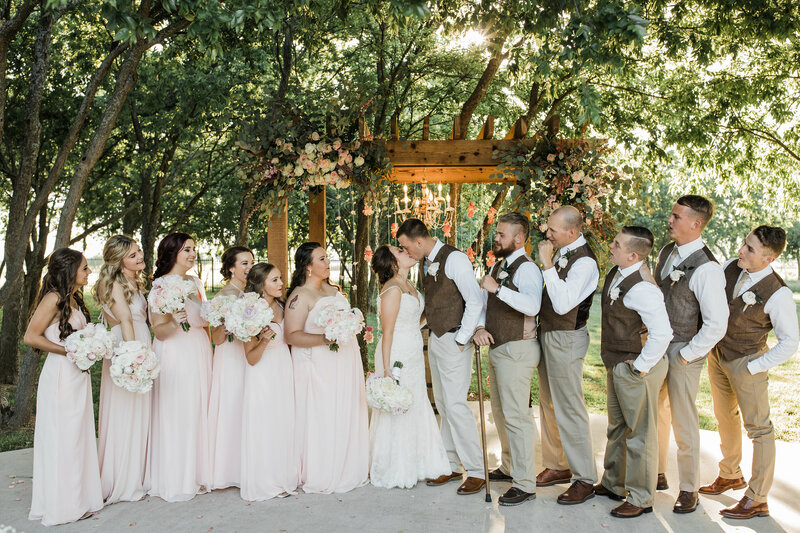 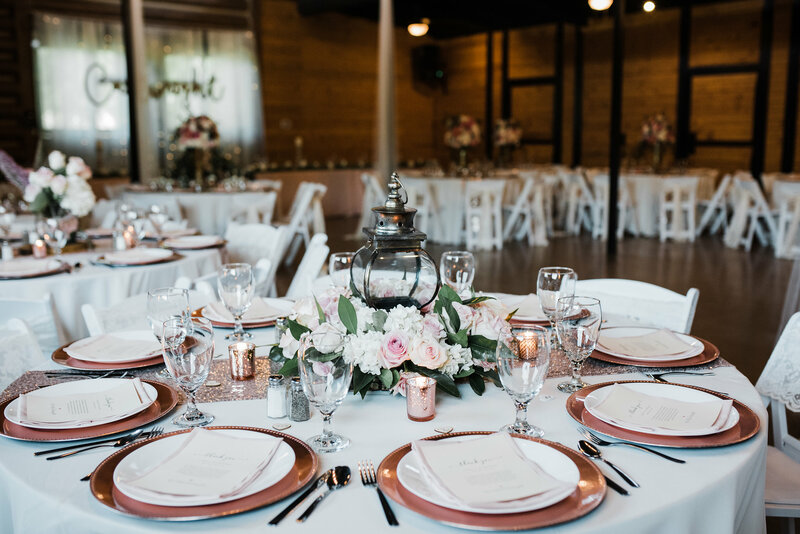 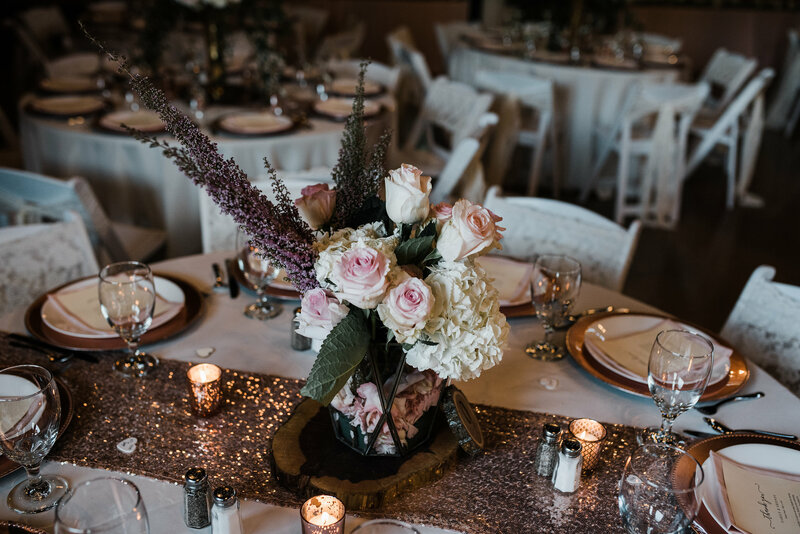 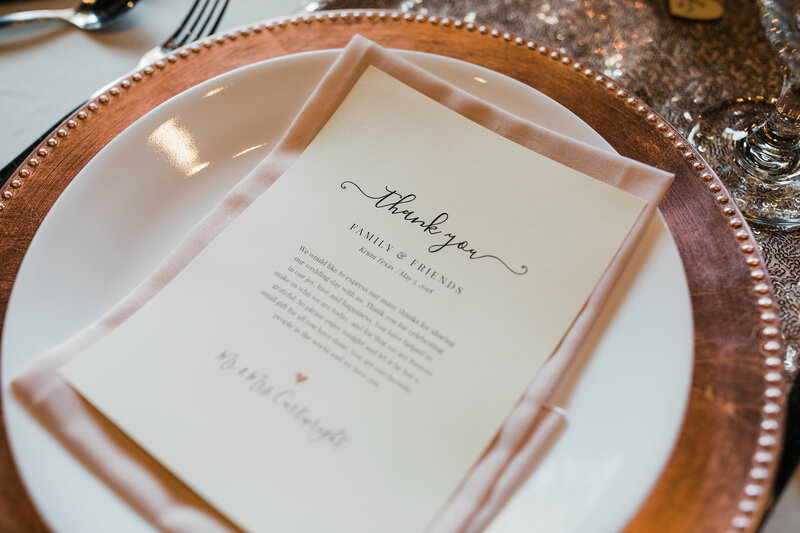 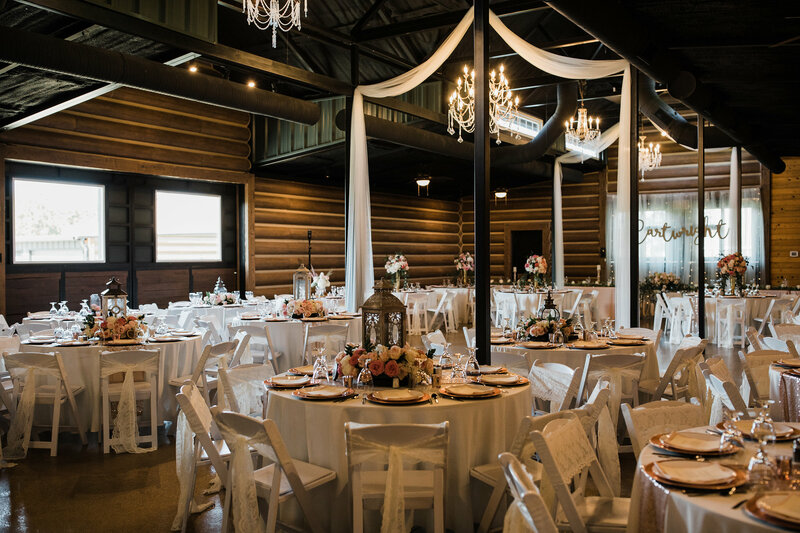 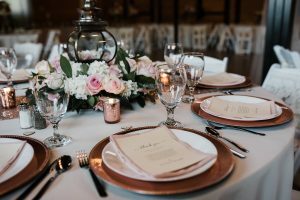 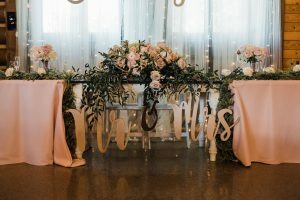 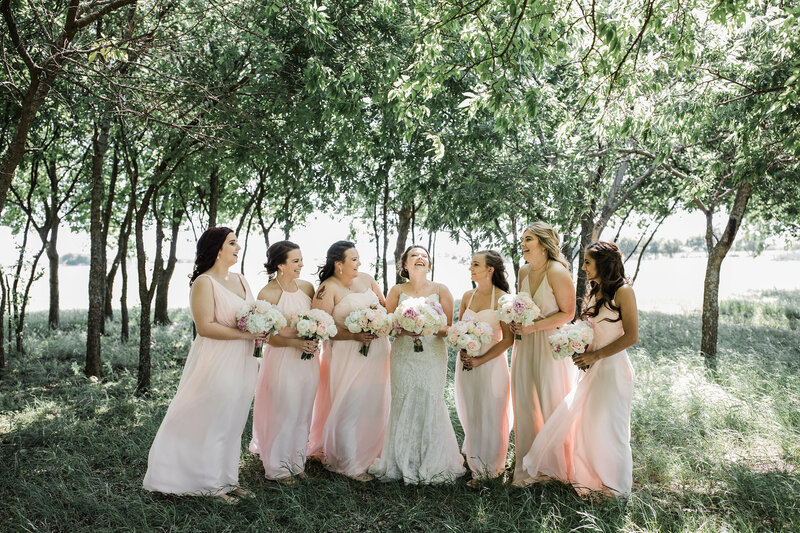 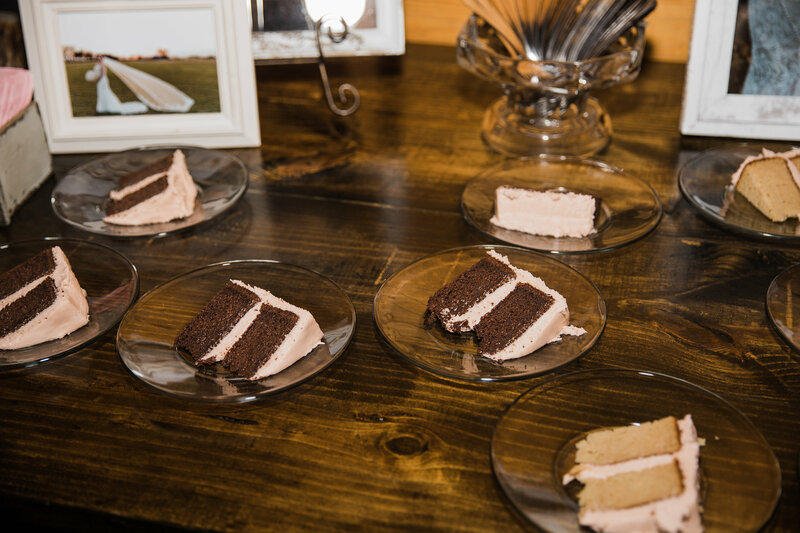 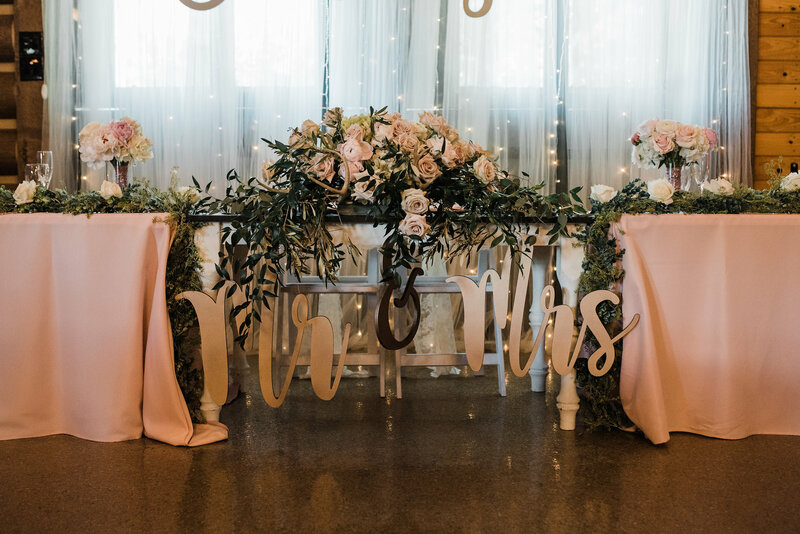 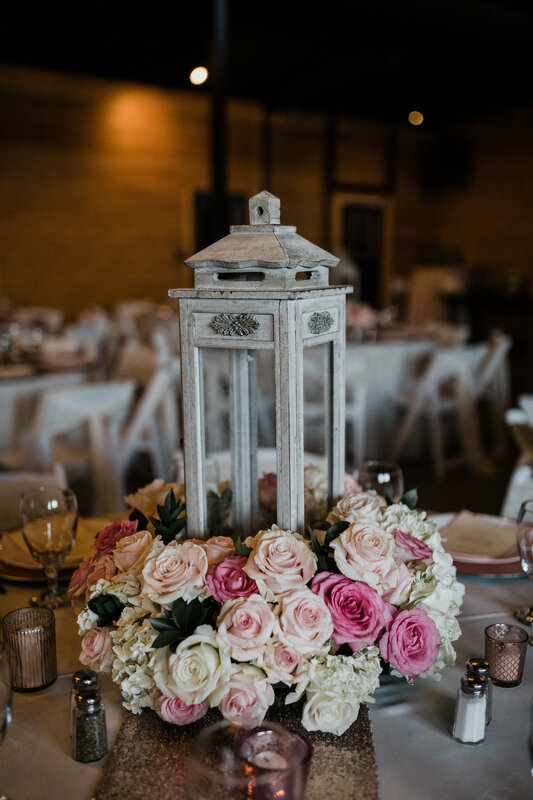 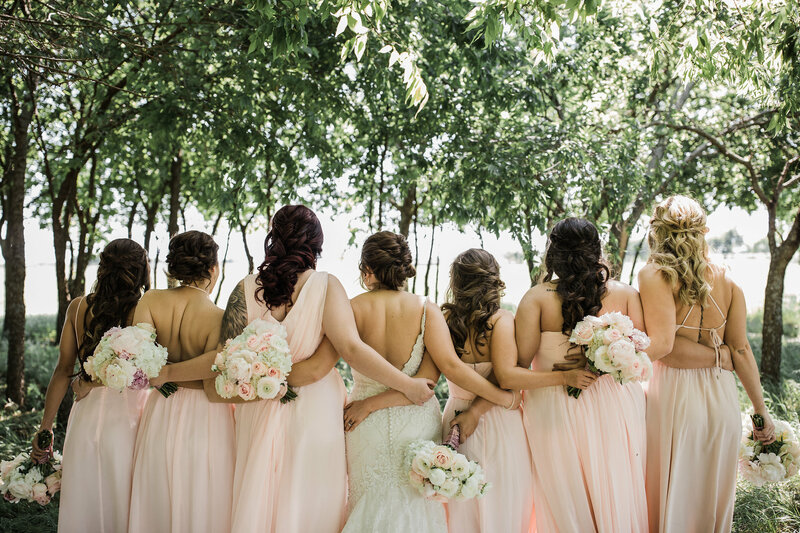 They opted for an Ivory/Blush theme with just the right amount of rose gold hints, the results were breathtaking. 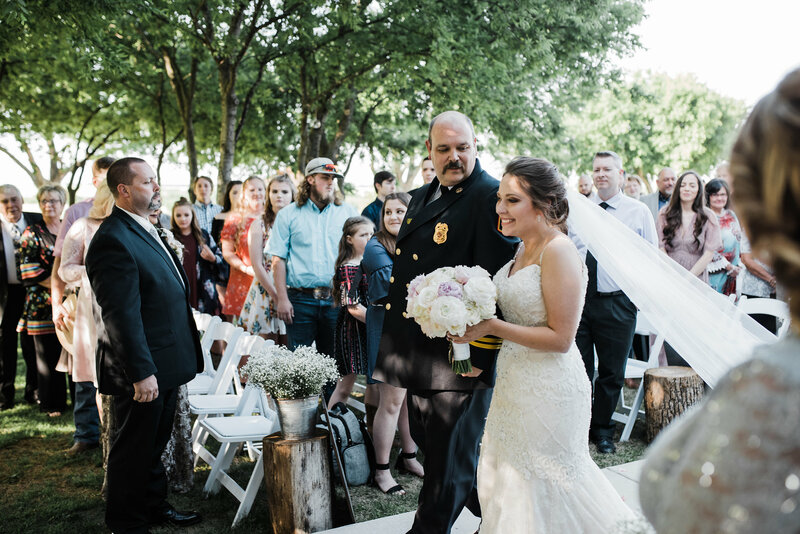 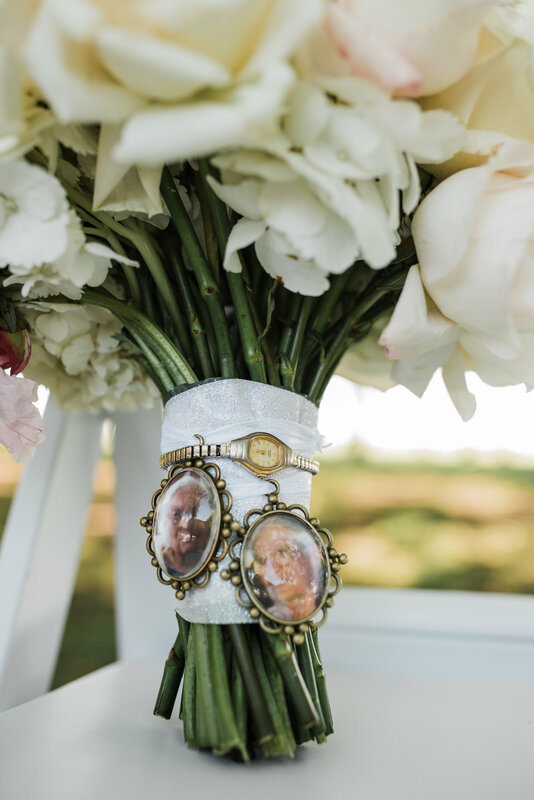 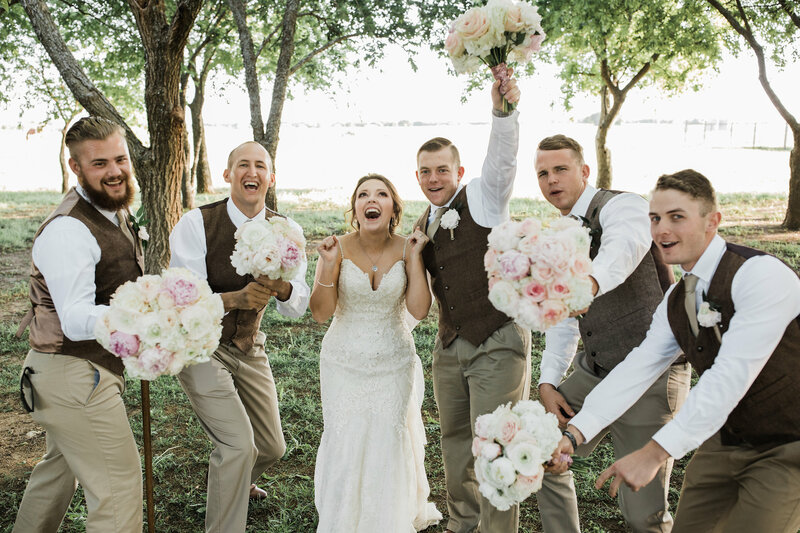 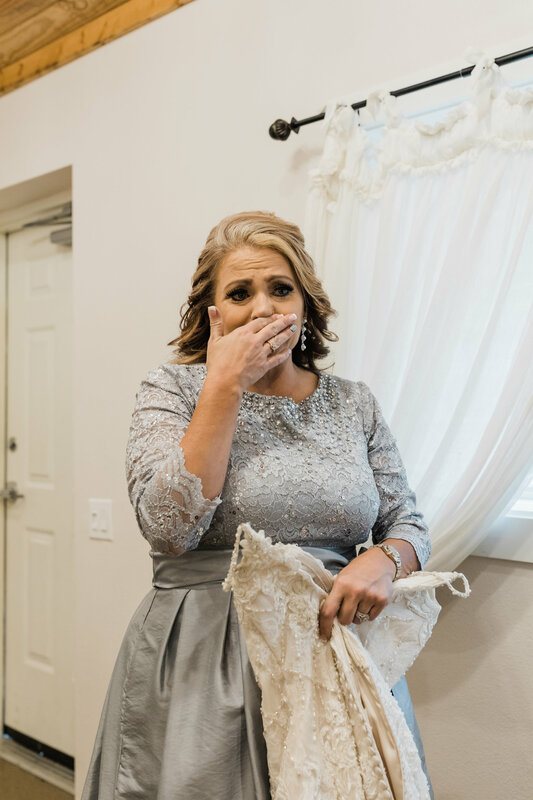 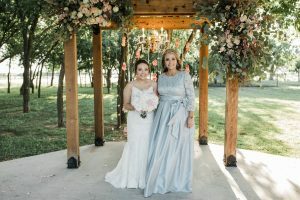 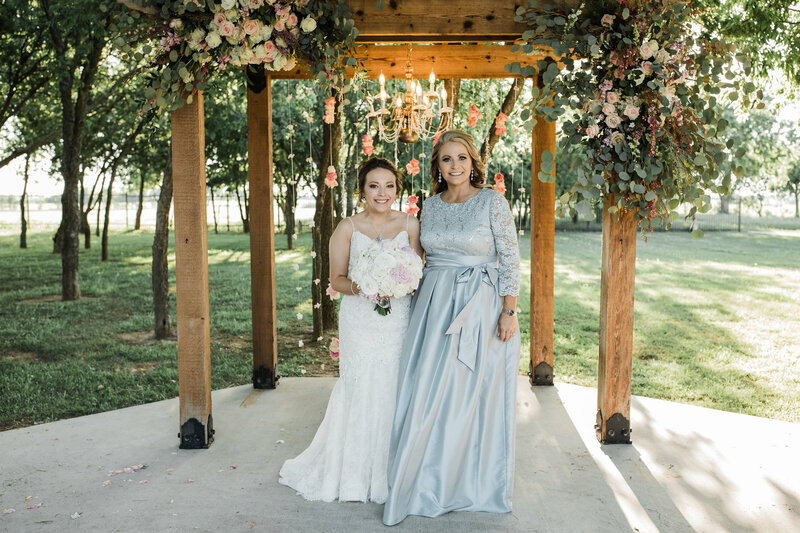 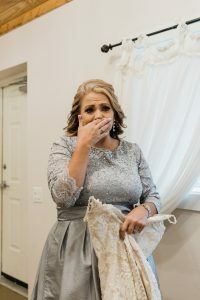 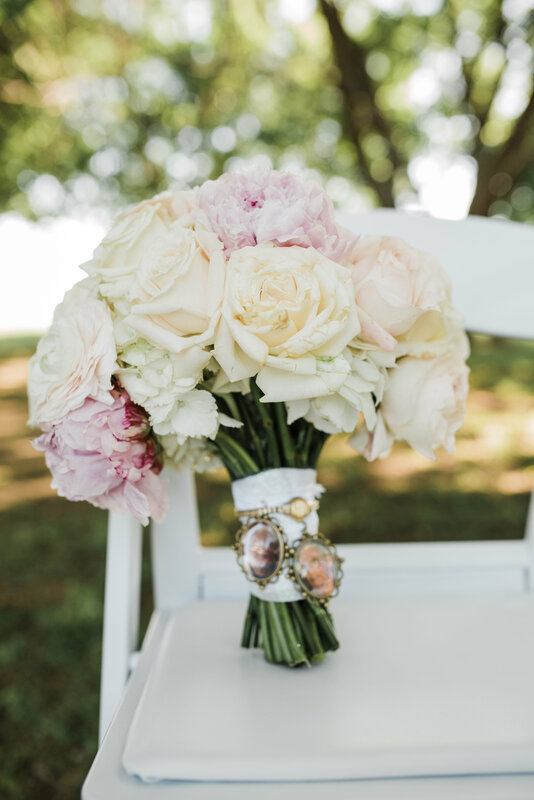 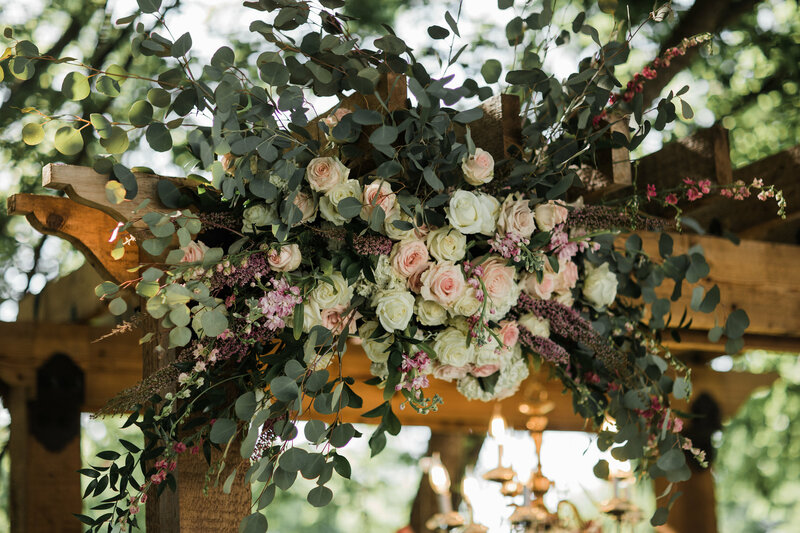 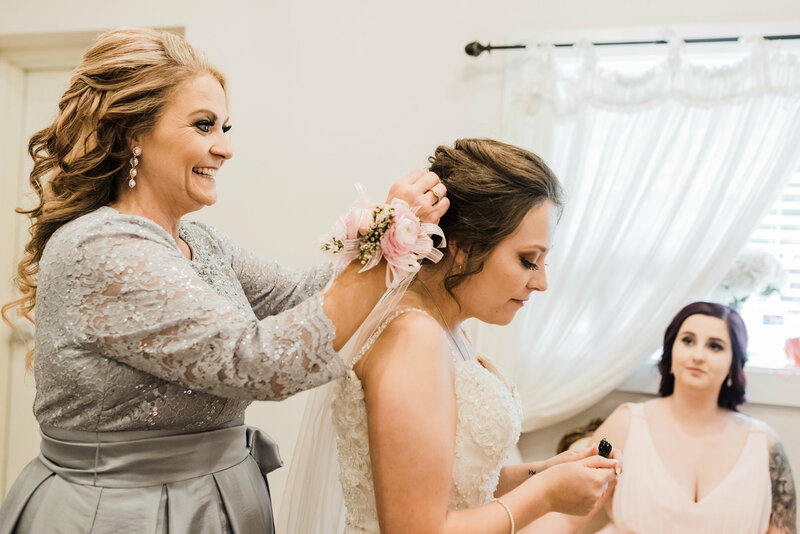 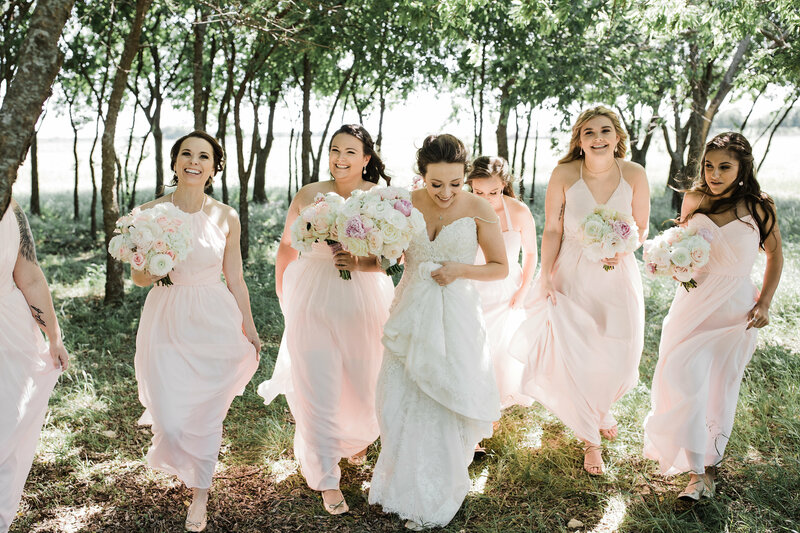 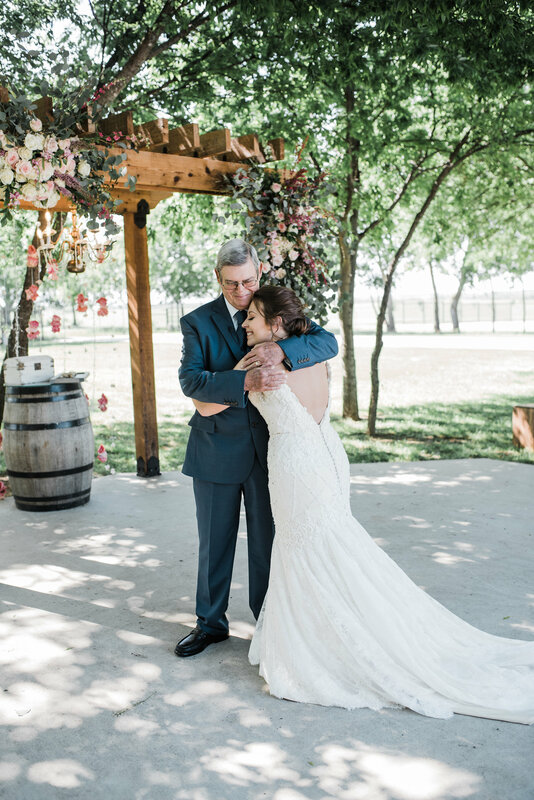 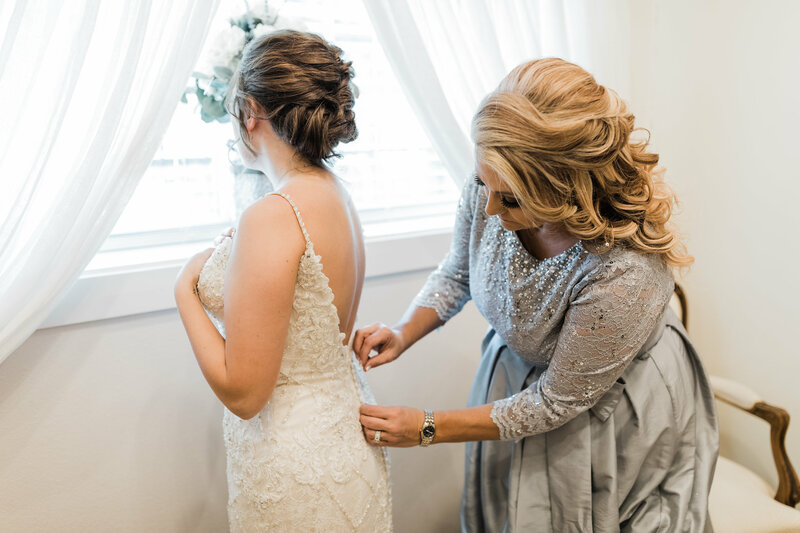 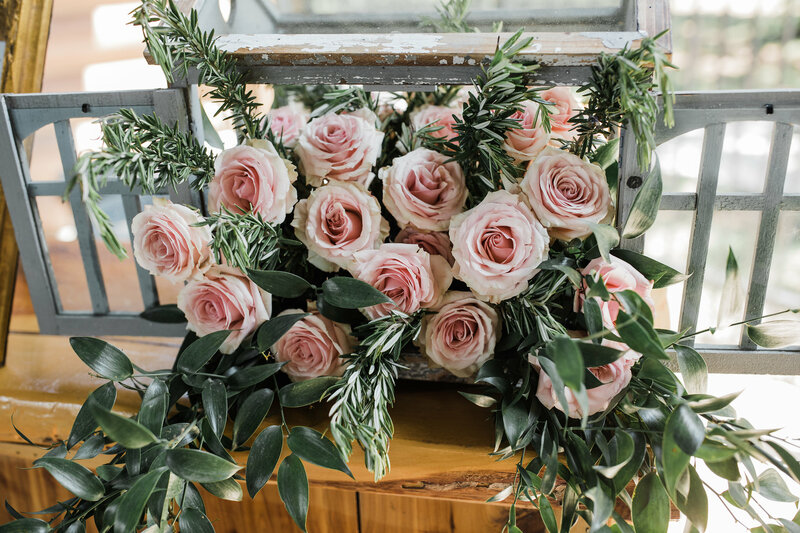 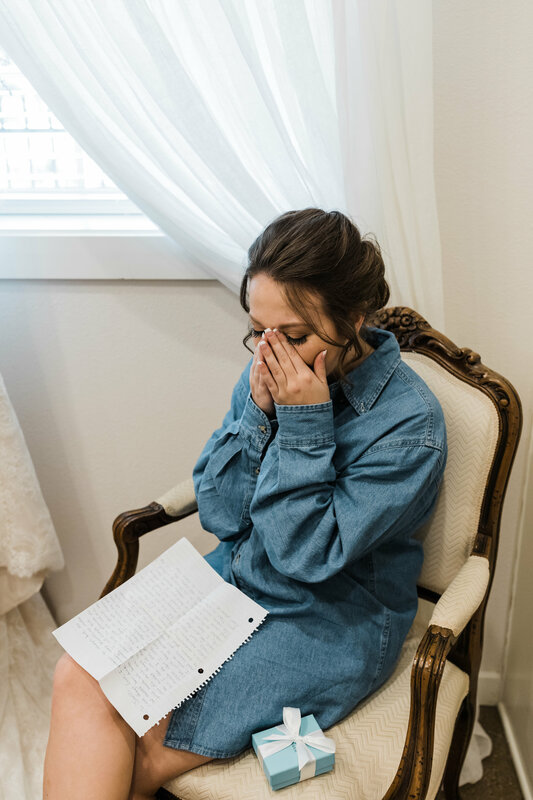 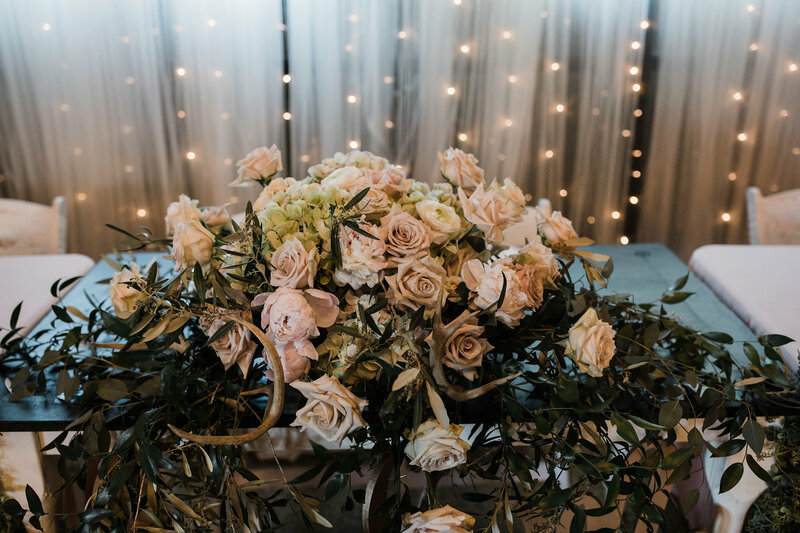 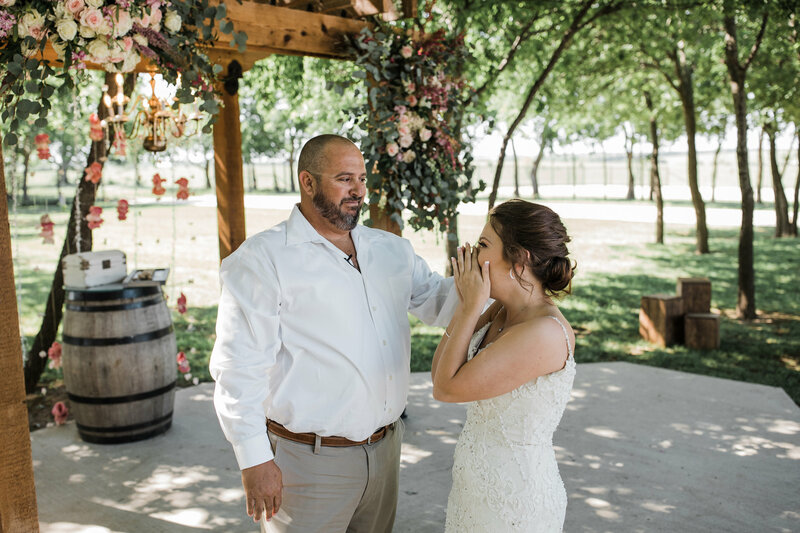 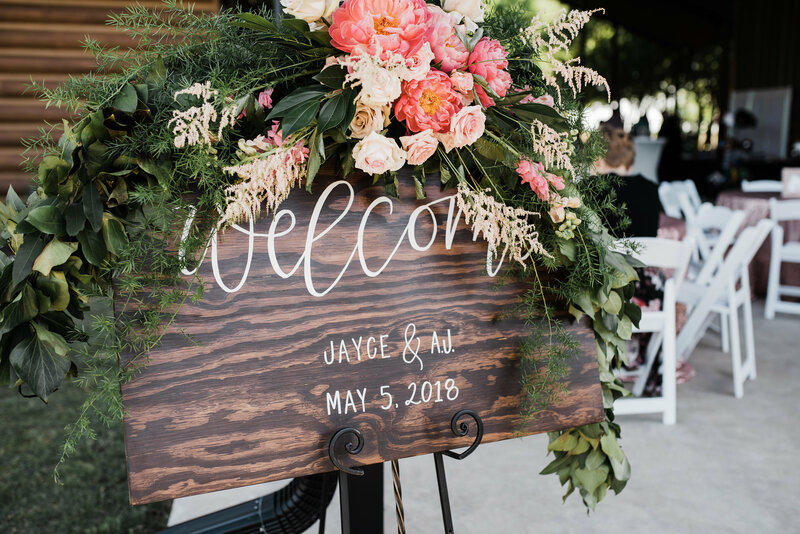 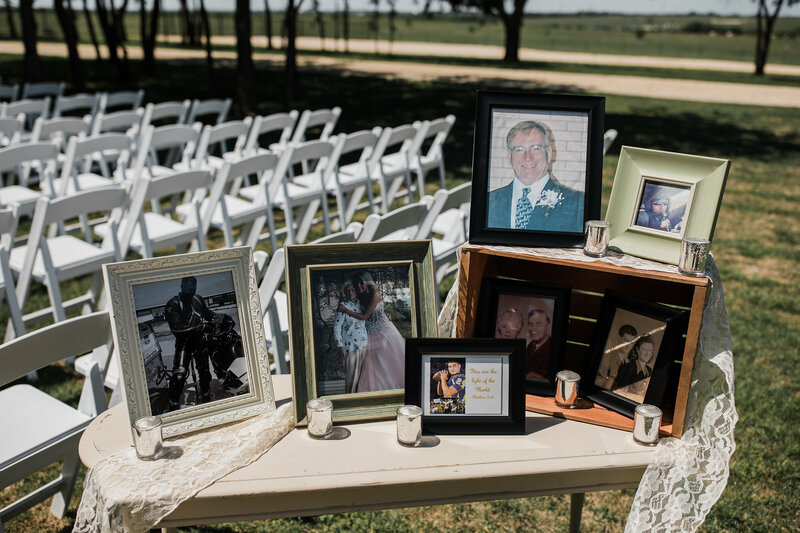 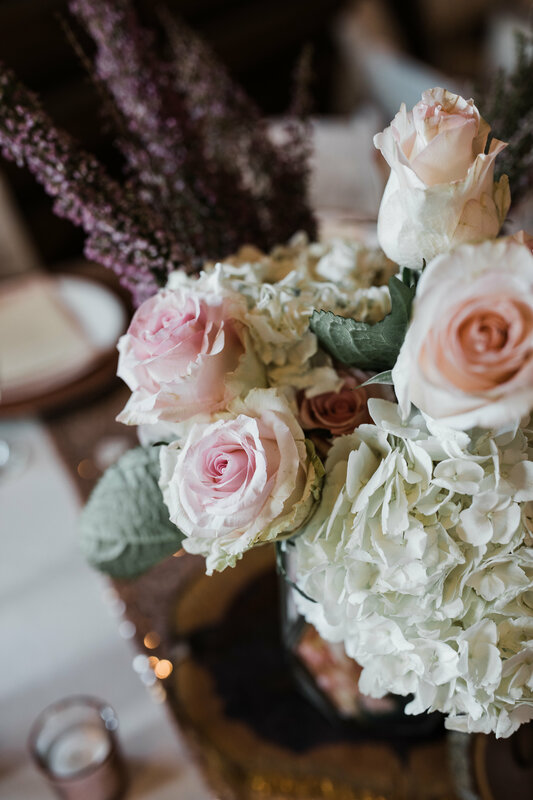 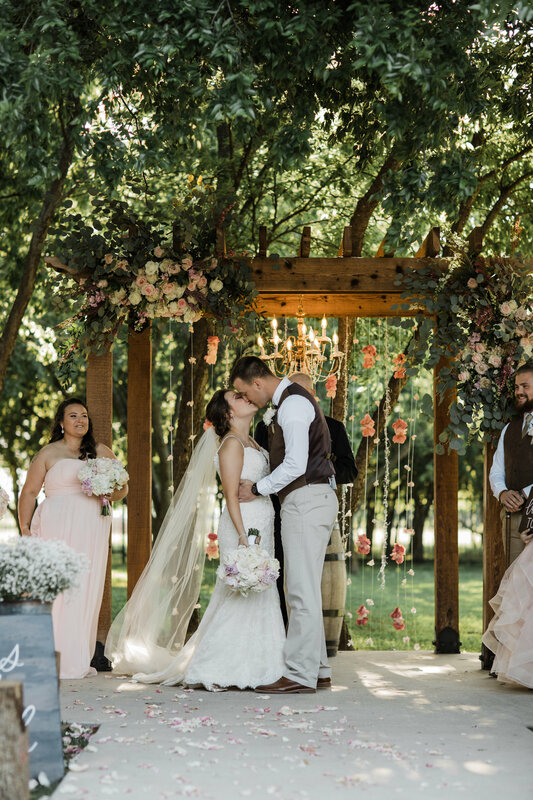 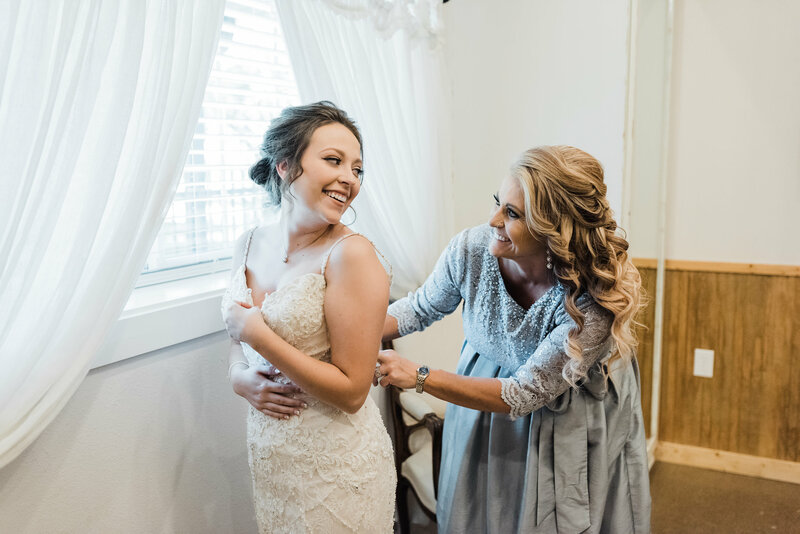 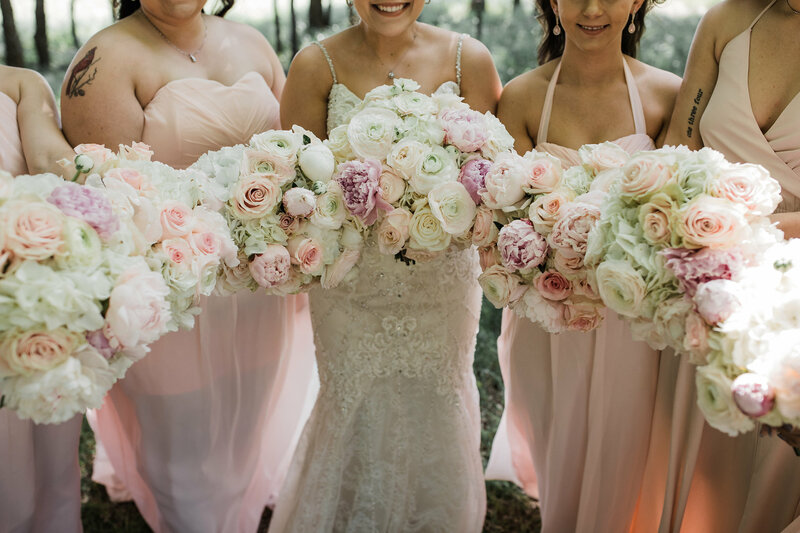 Jayce was just in luck, her mom is an incredible florist who flooded her day full of the most breathtaking arrangements that tied it all together. 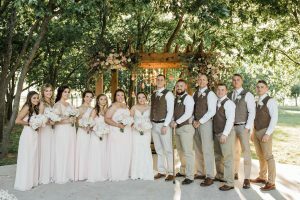 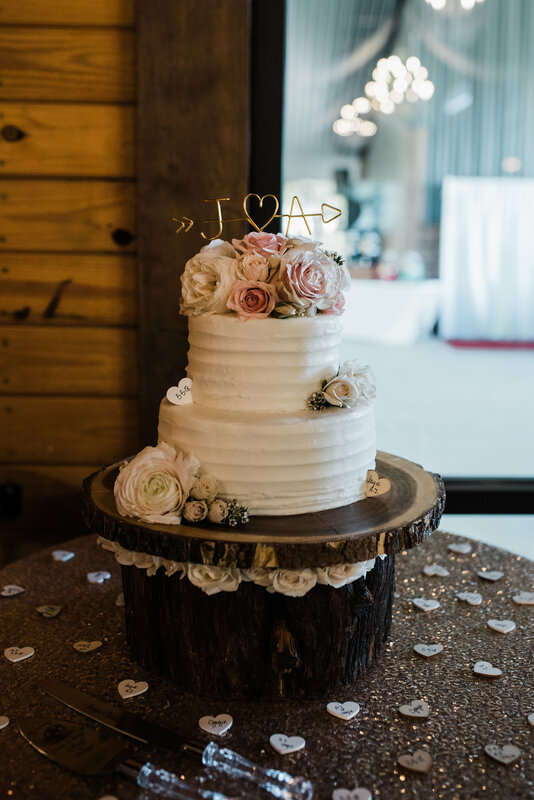 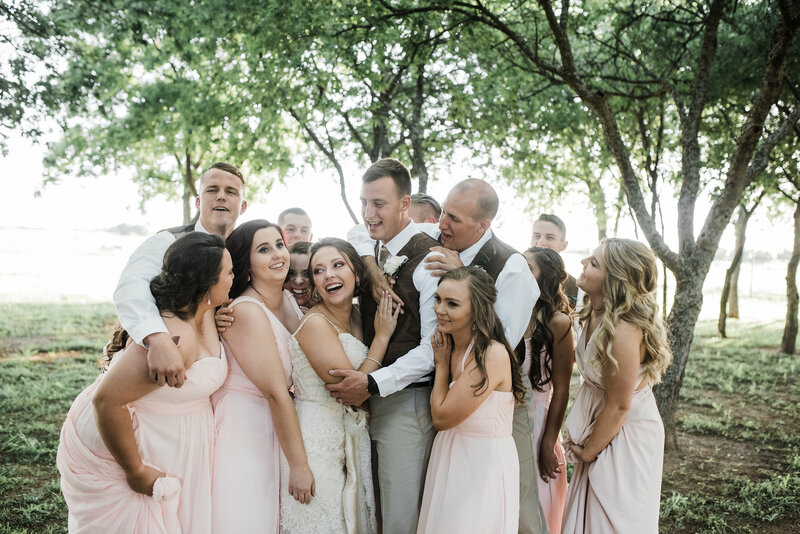 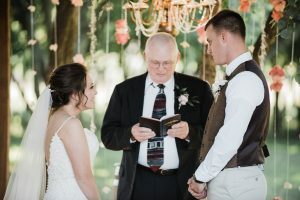 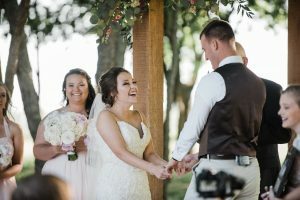 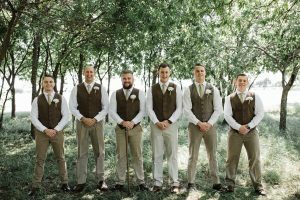 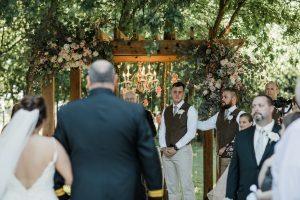 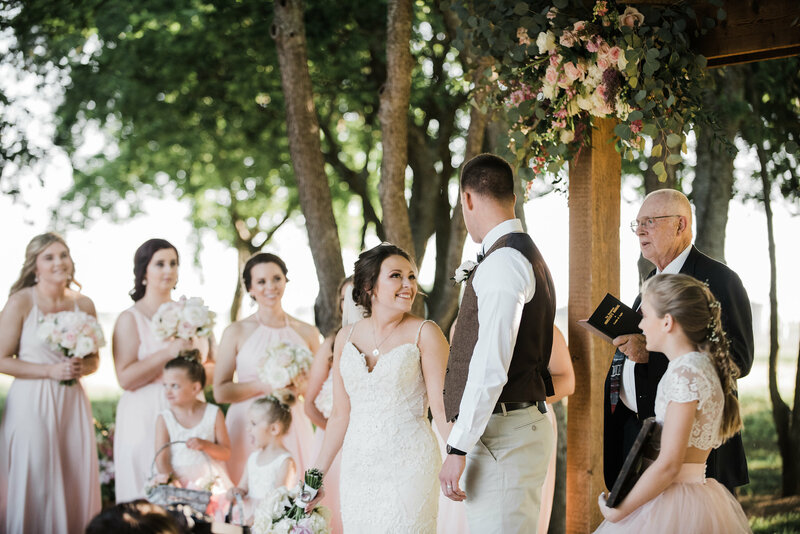 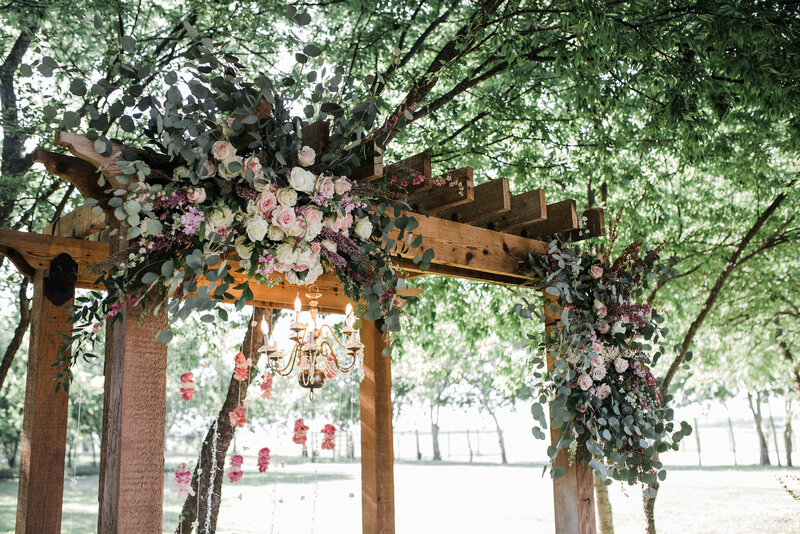 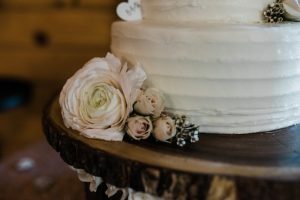 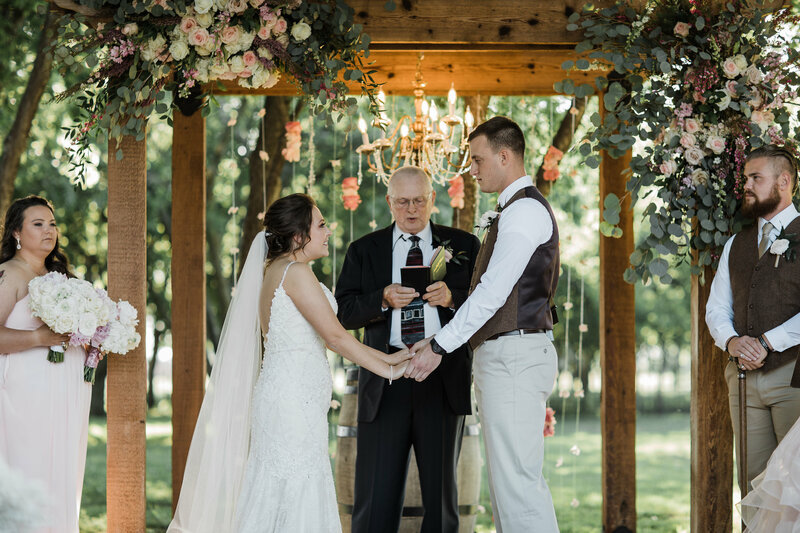 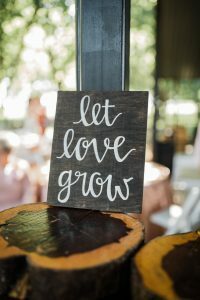 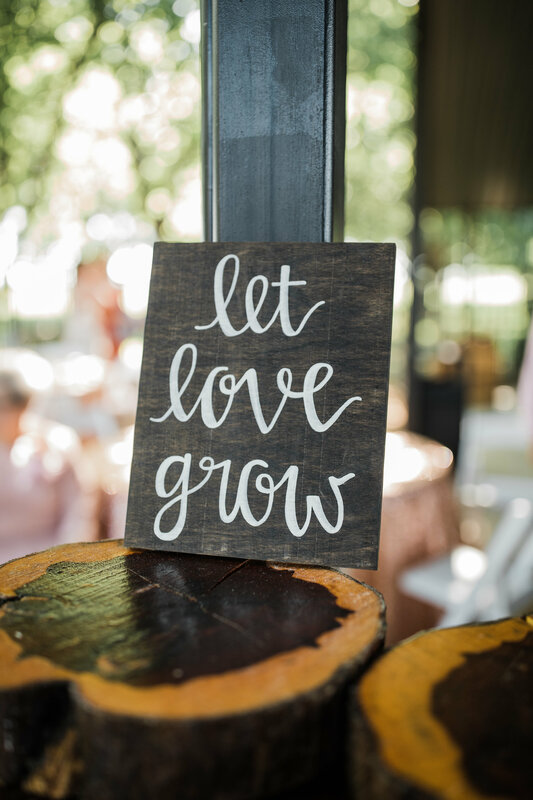 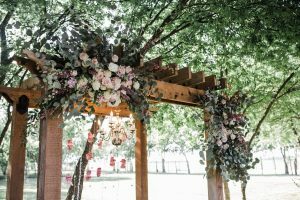 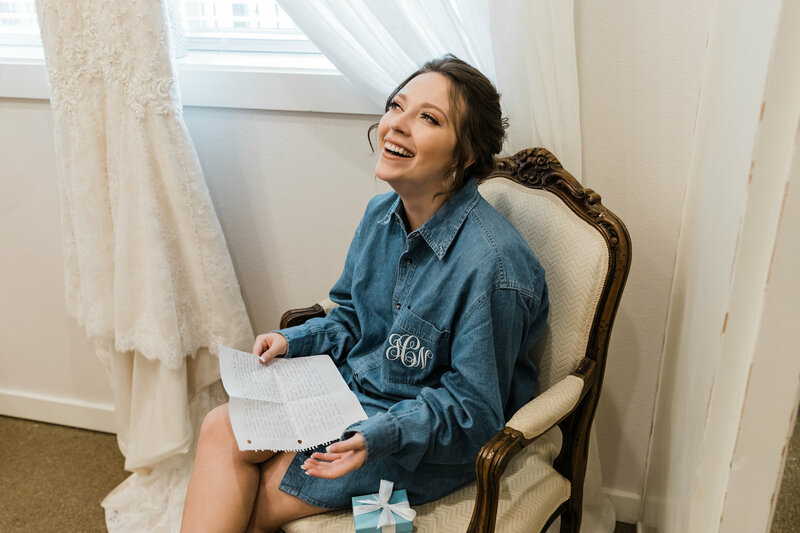 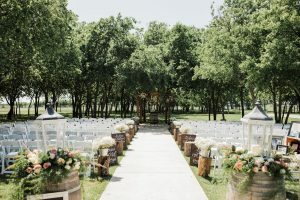 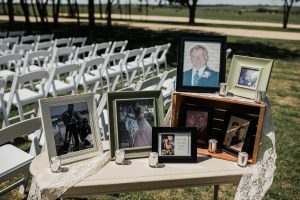 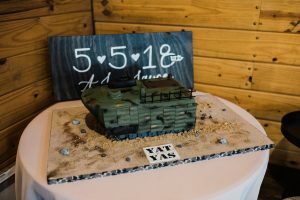 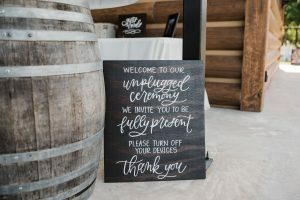 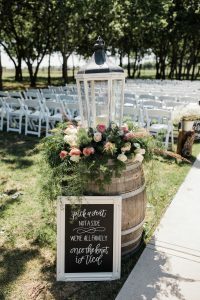 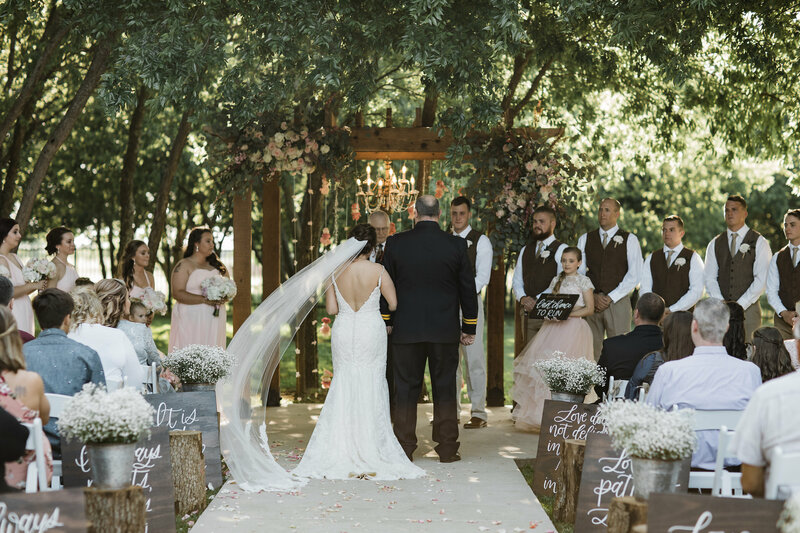 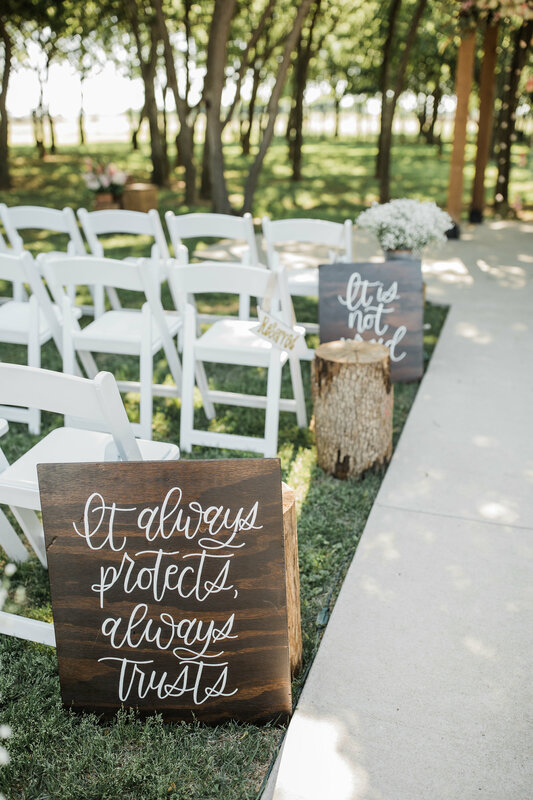 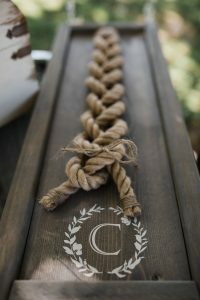 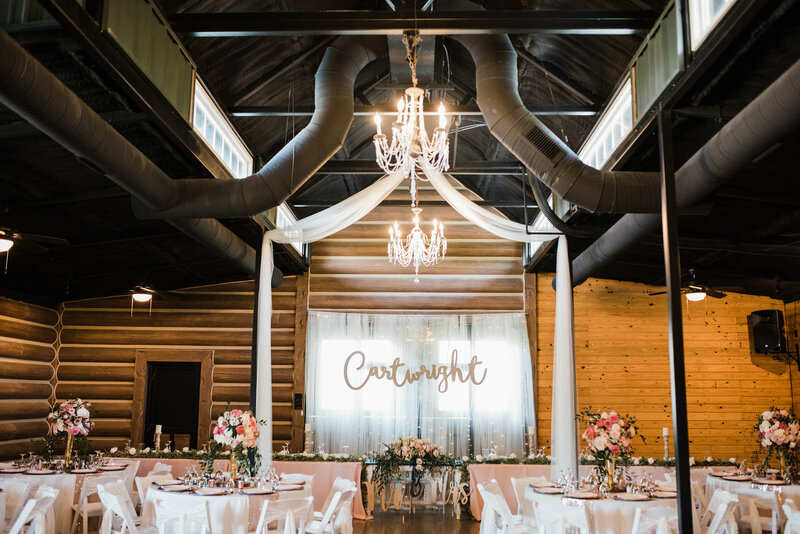 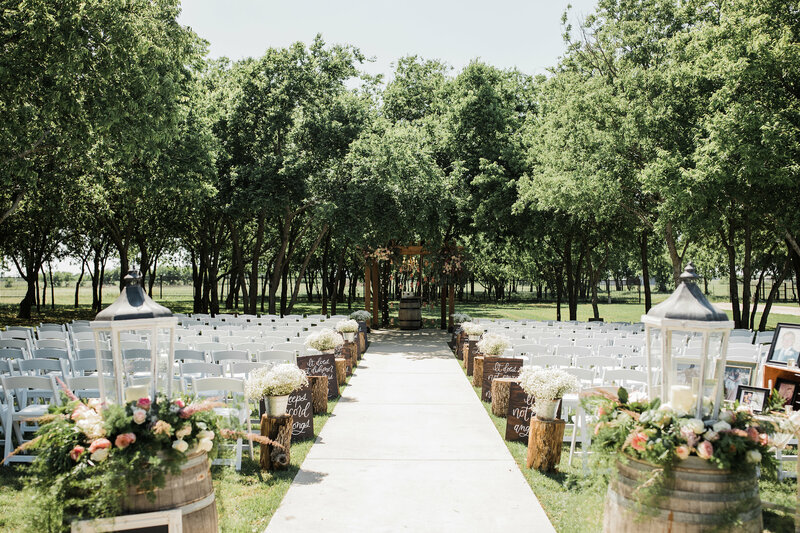 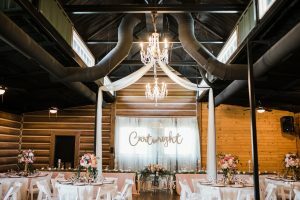 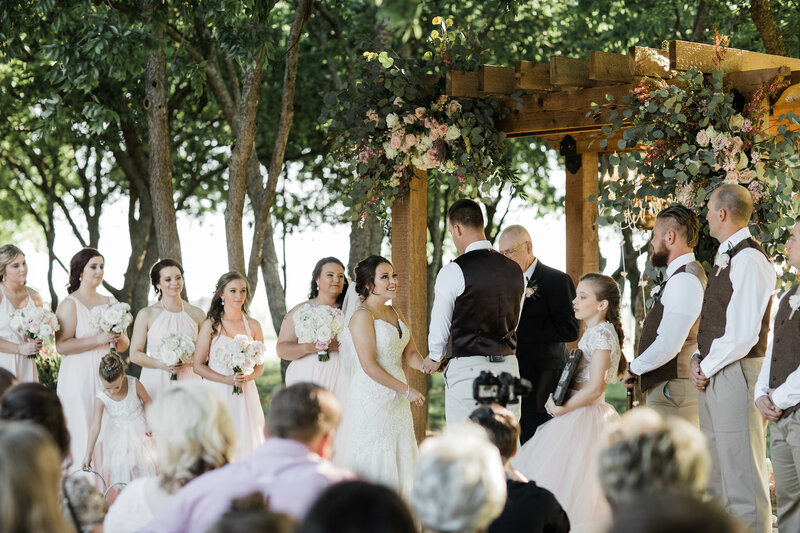 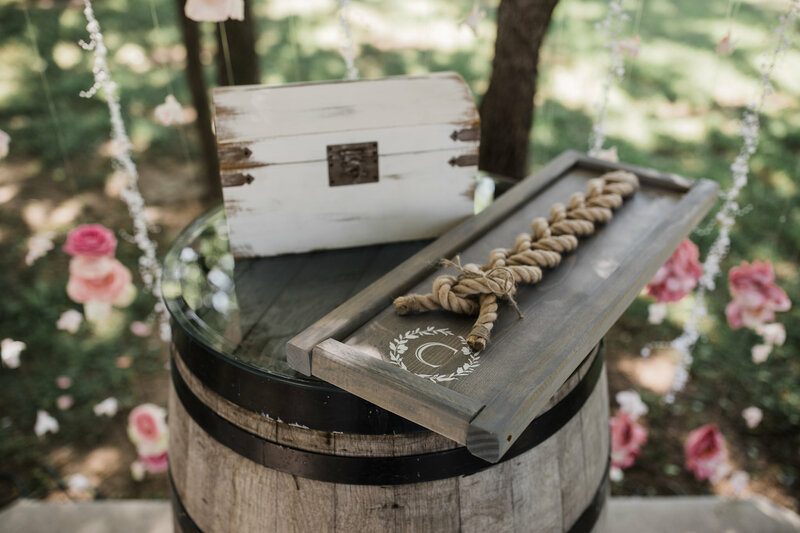 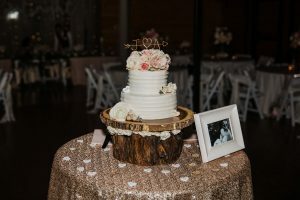 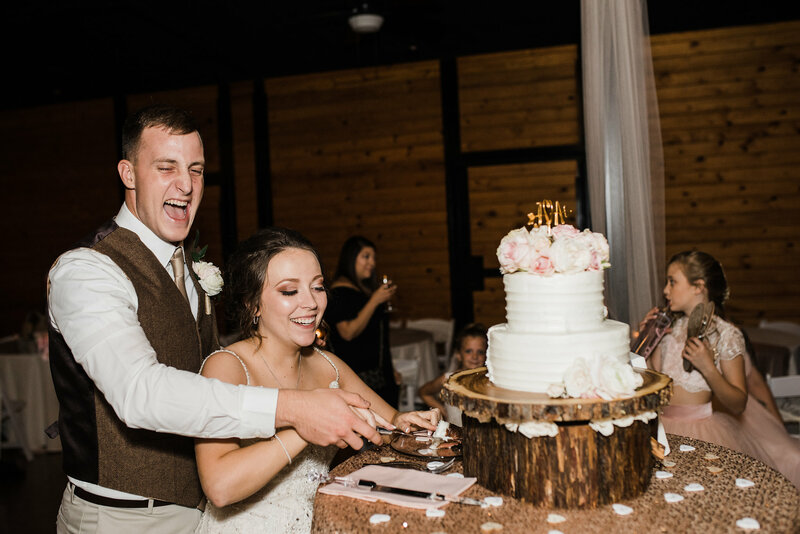 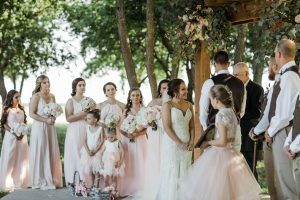 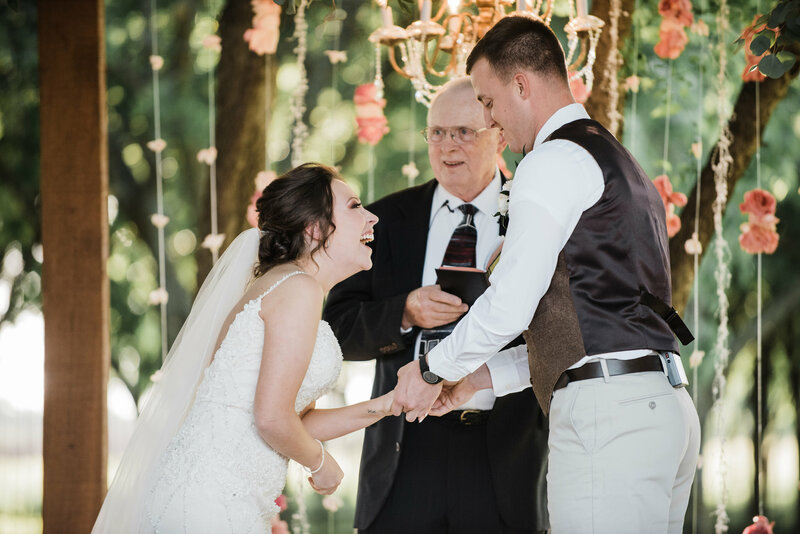 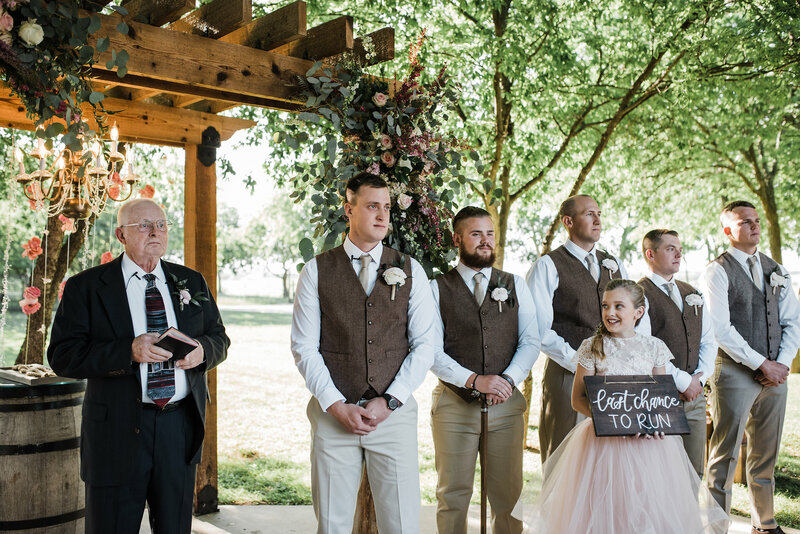 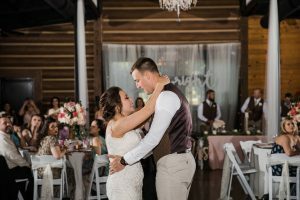 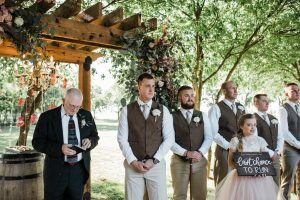 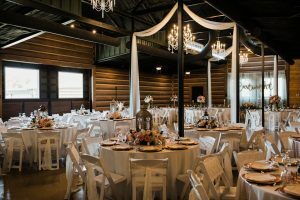 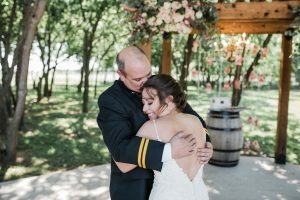 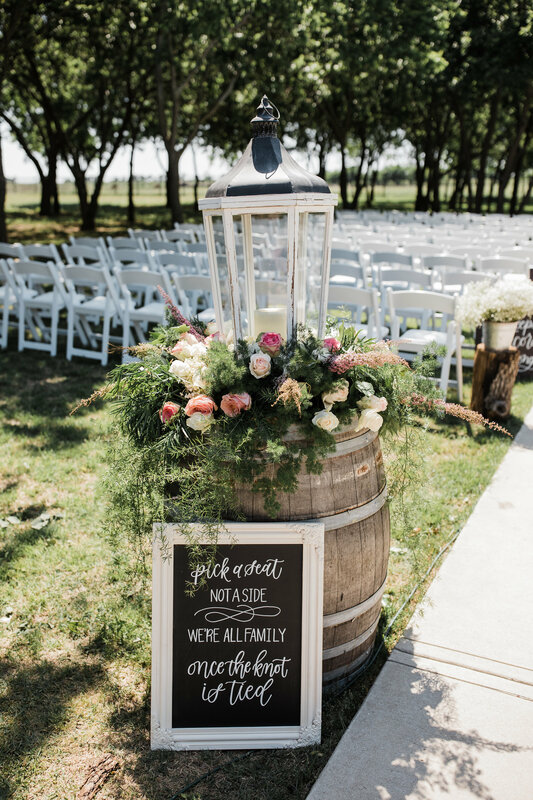 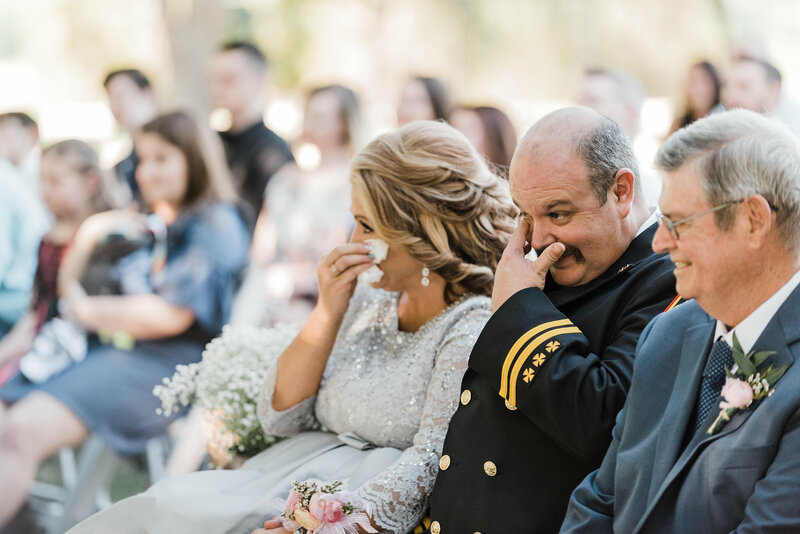 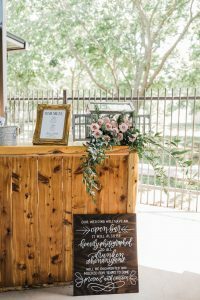 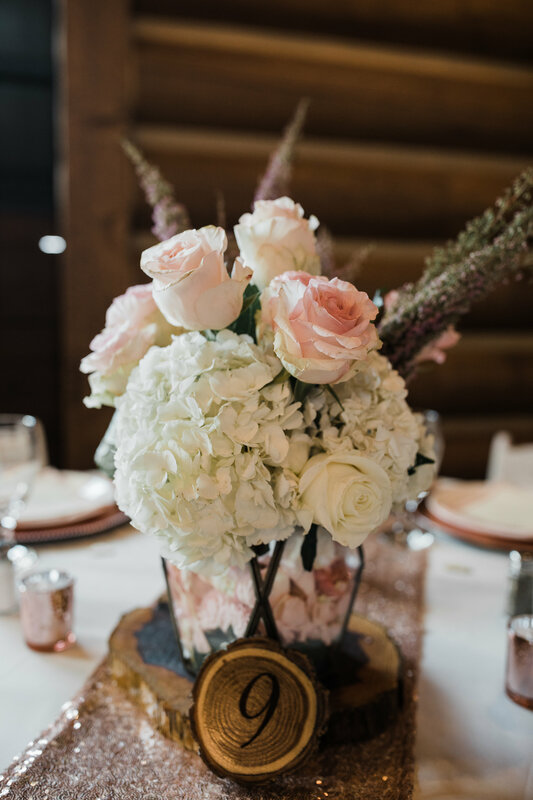 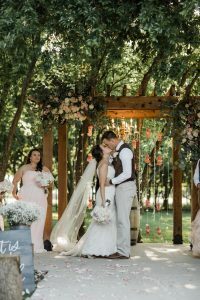 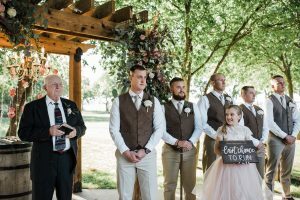 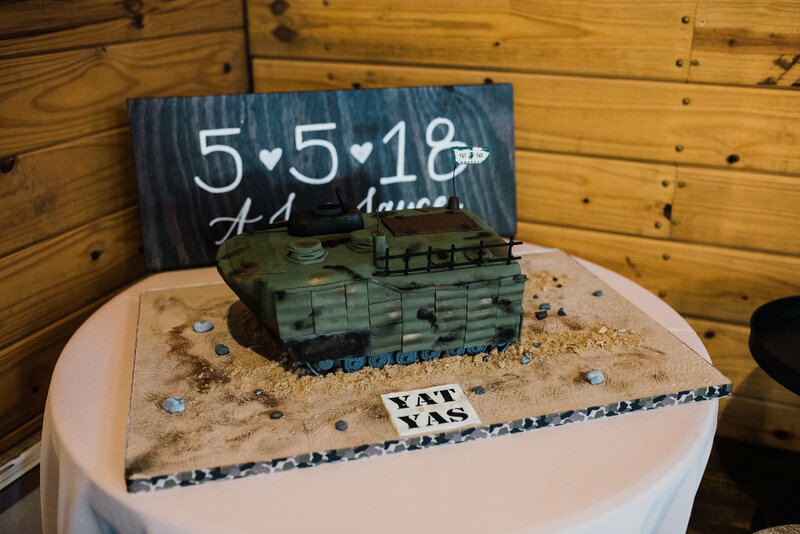 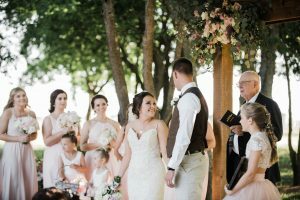 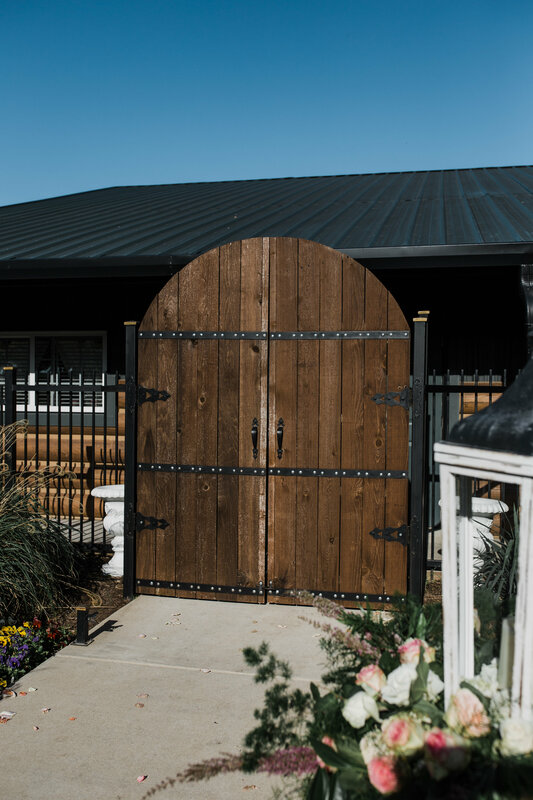 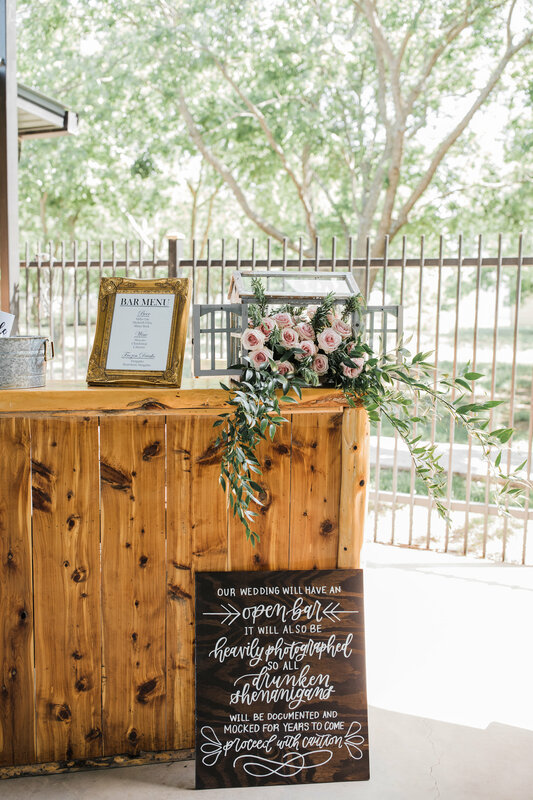 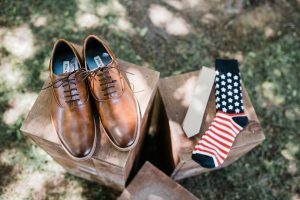 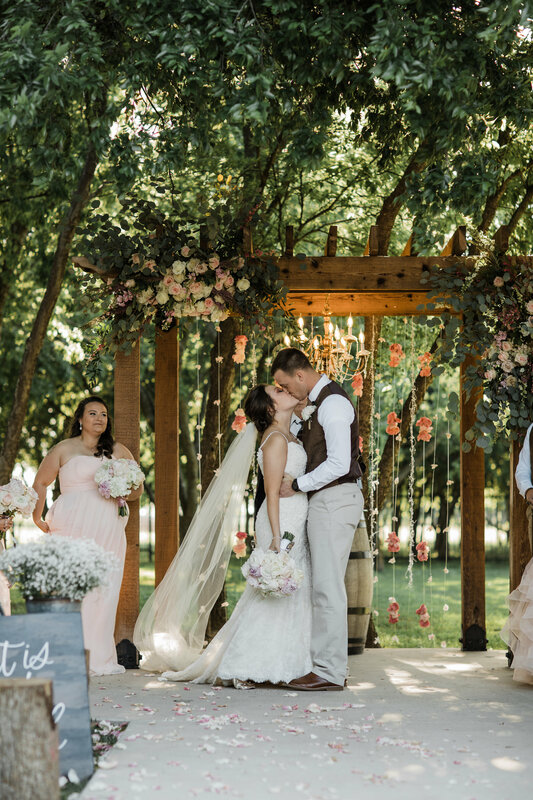 Their ceremony area was lined of gushing whiskey barrels, beautiful stumps and fresh babies breath, along with accenting hand-lettered scriptures. 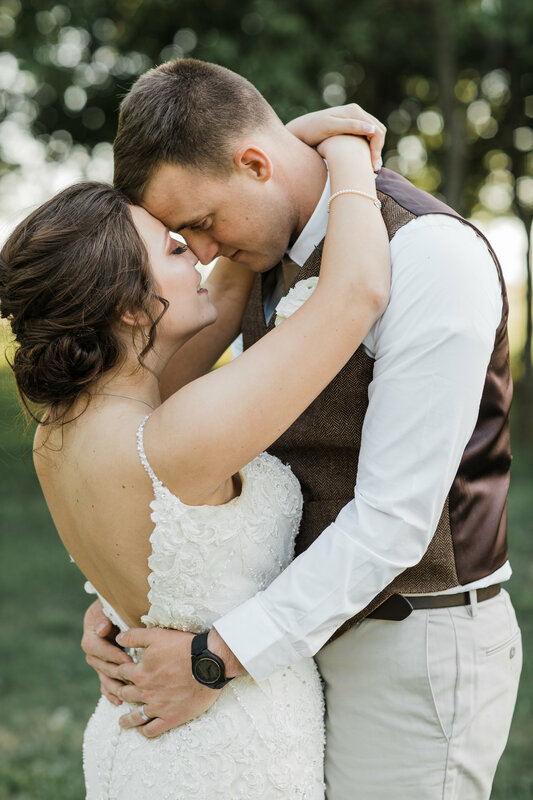 All in all, their entire day was stunning. 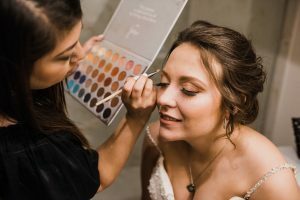 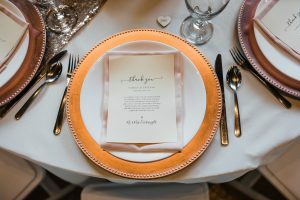 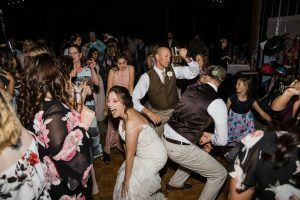 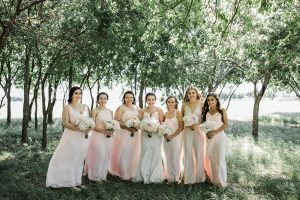 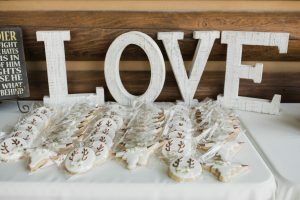 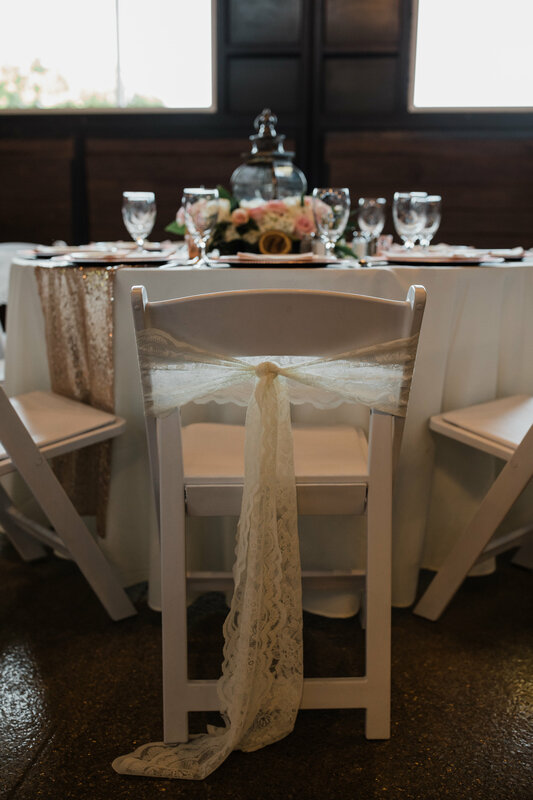 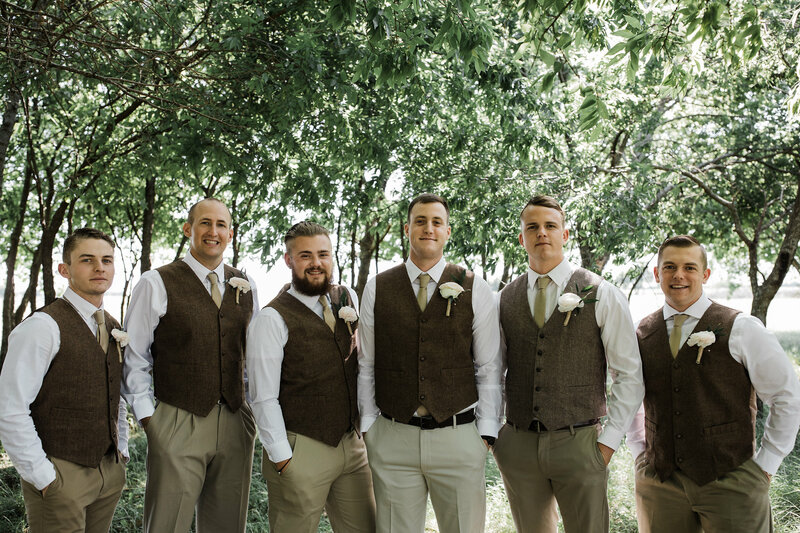 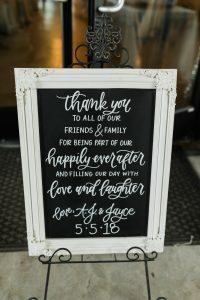 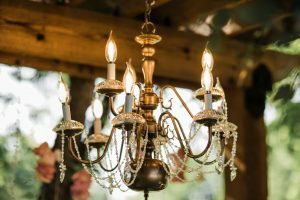 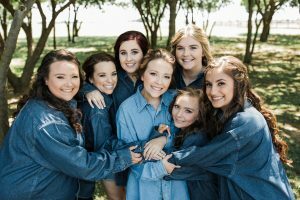 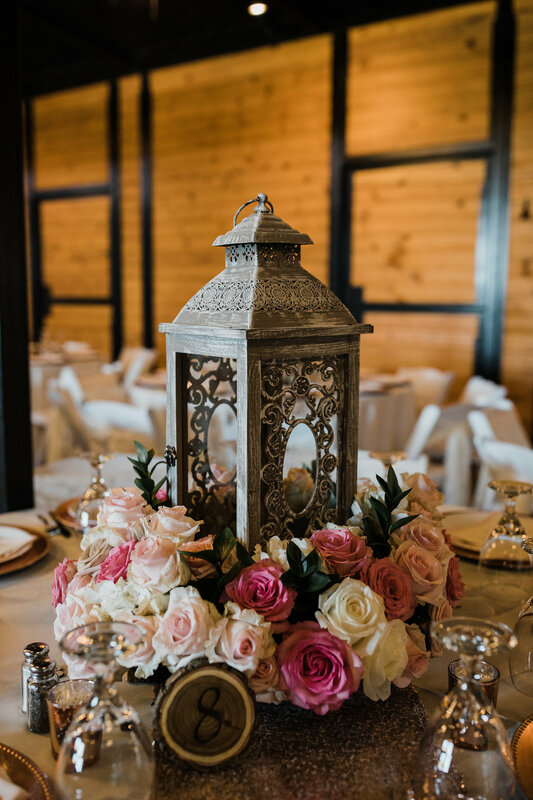 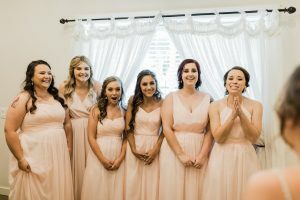 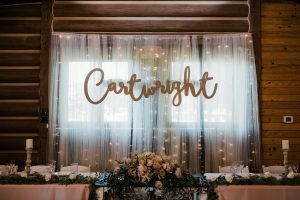 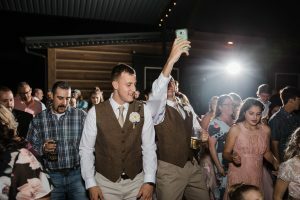 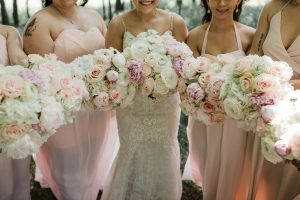 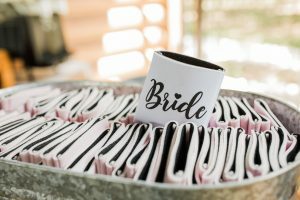 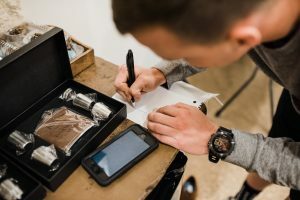 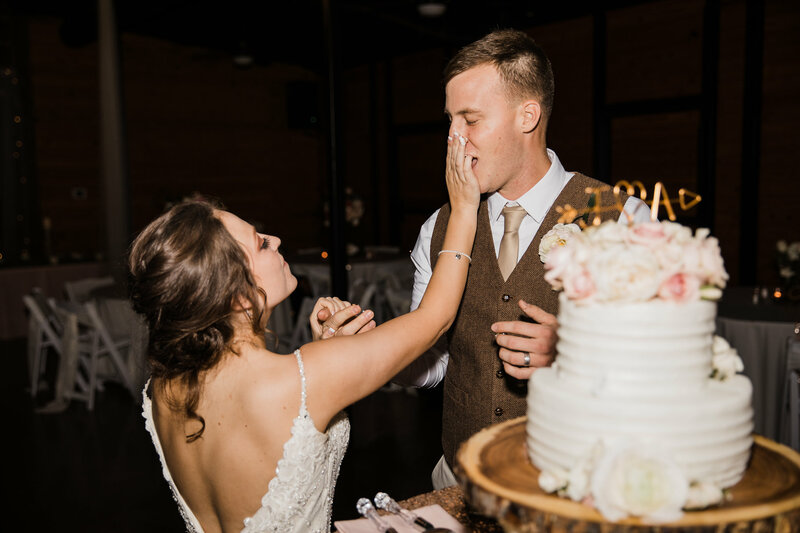 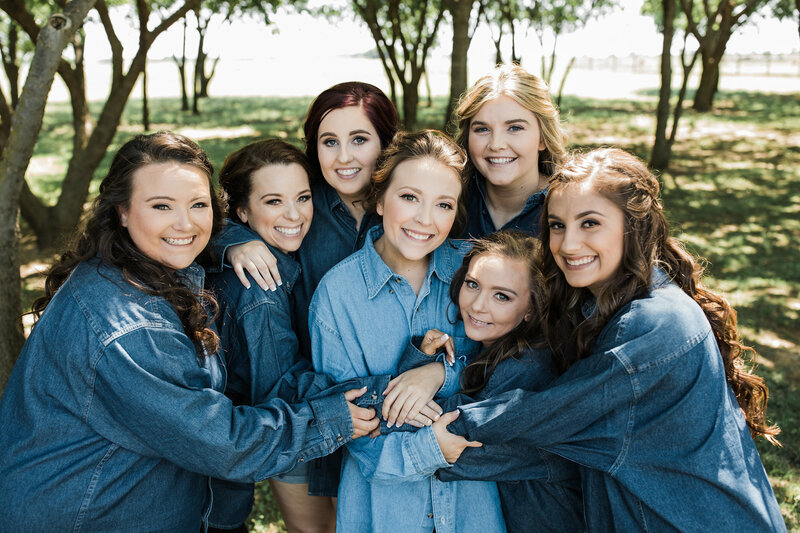 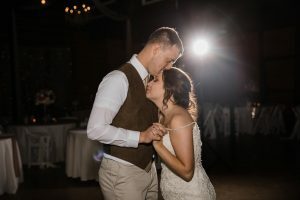 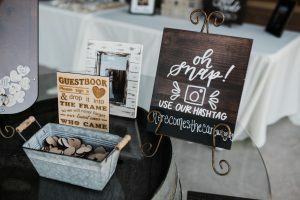 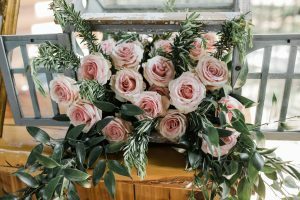 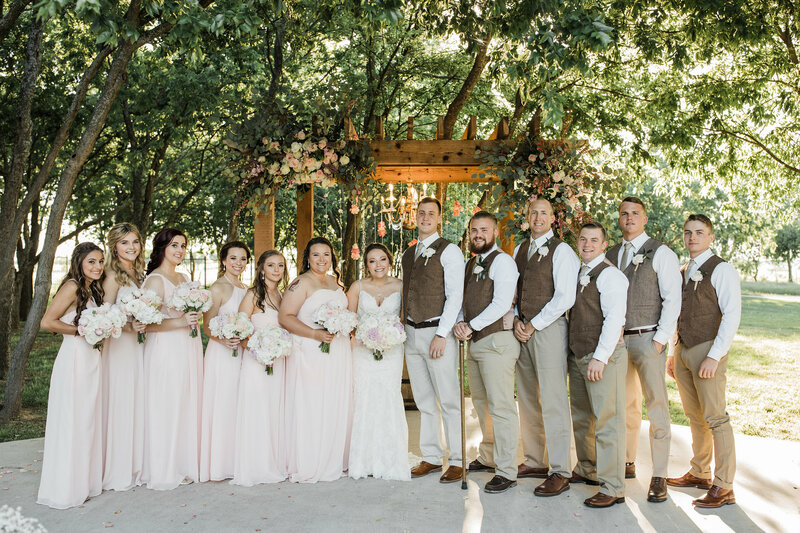 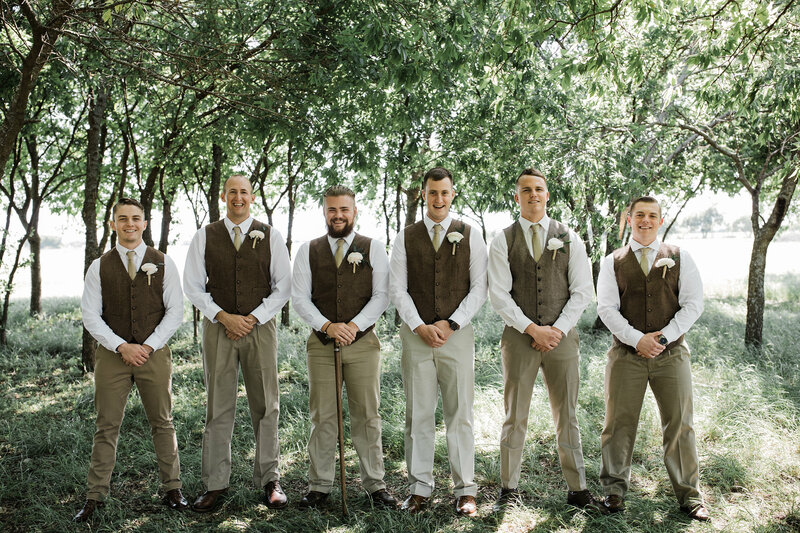 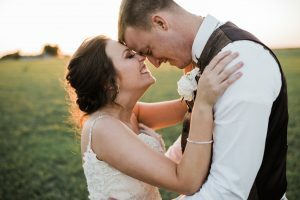 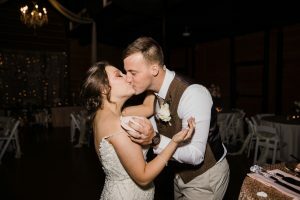 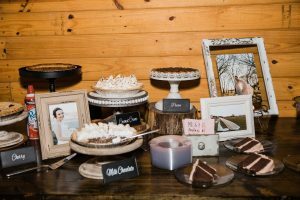 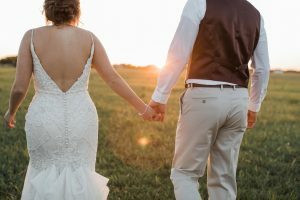 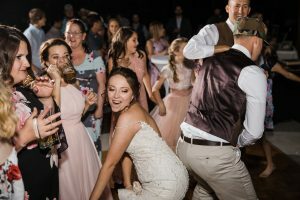 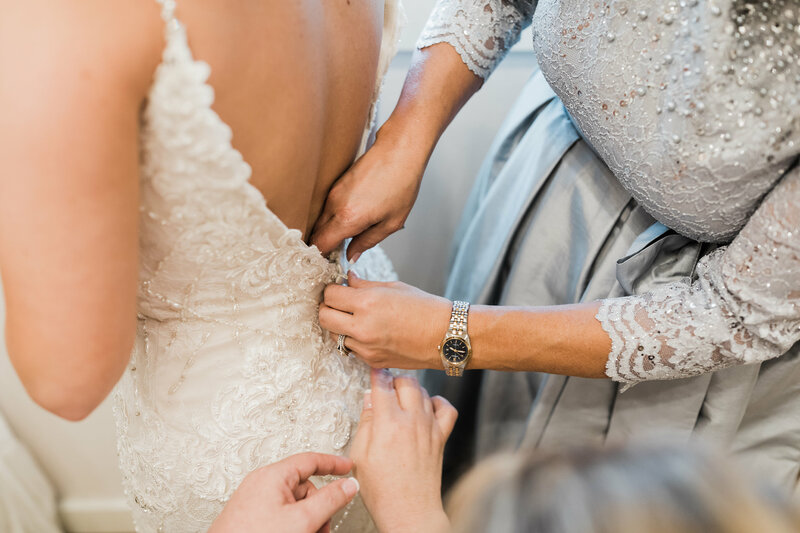 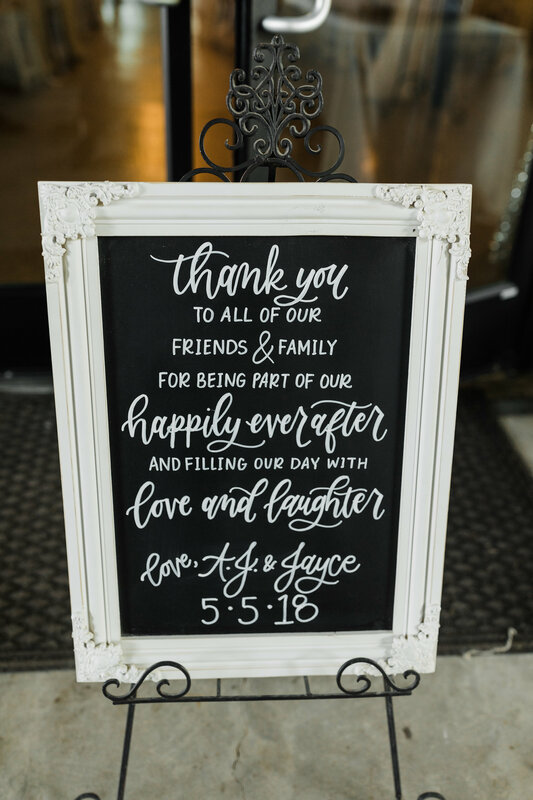 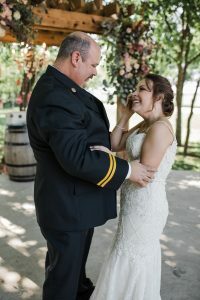 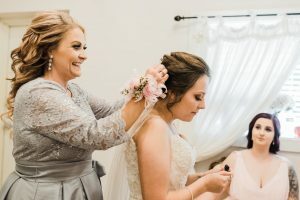 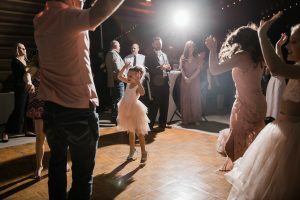 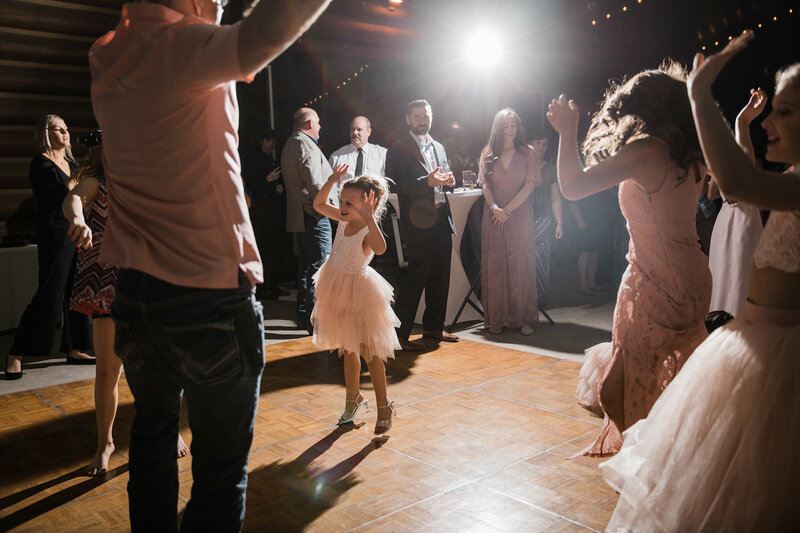 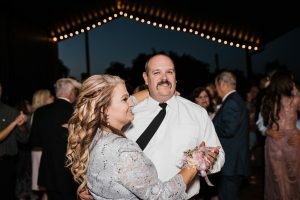 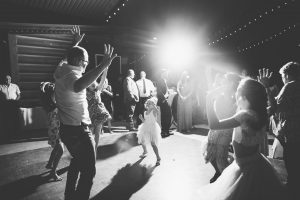 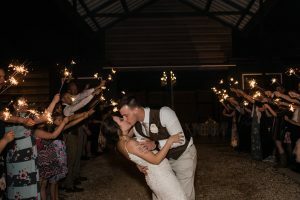 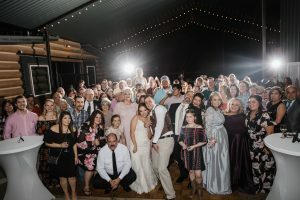 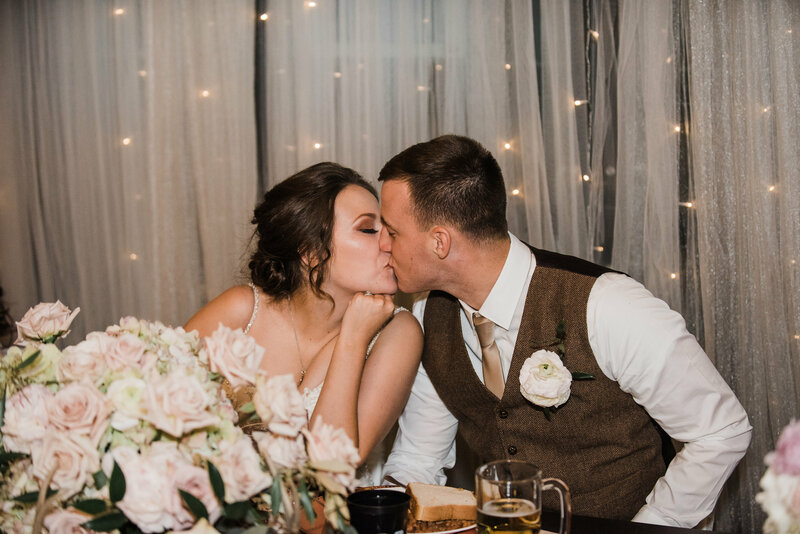 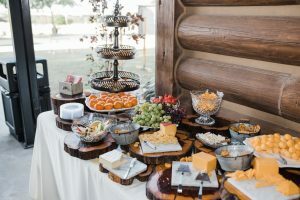 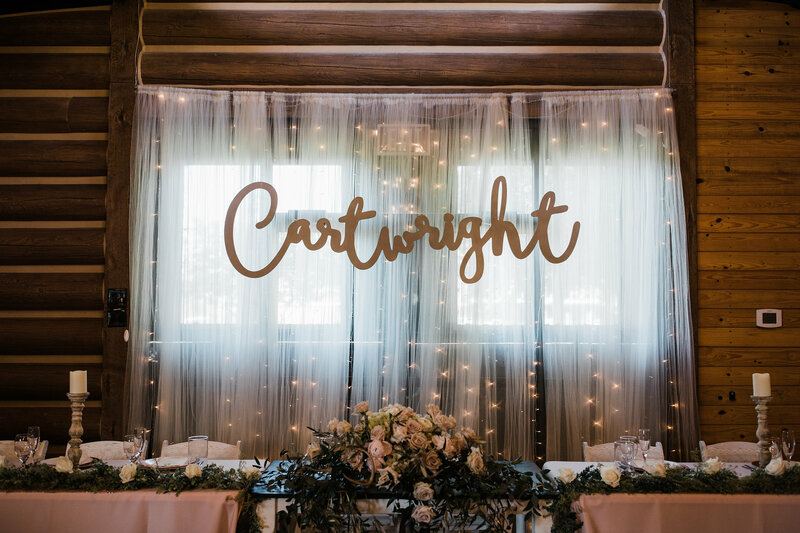 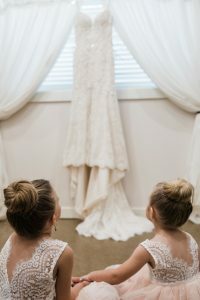 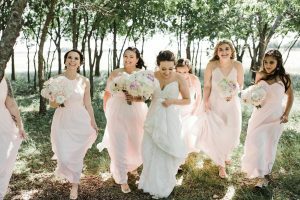 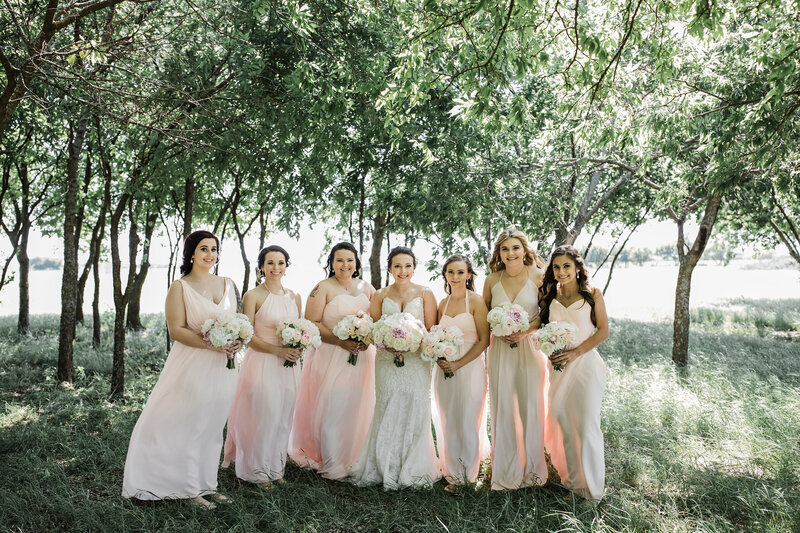 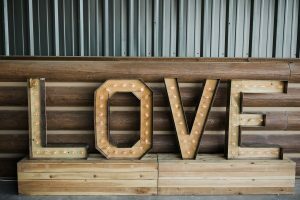 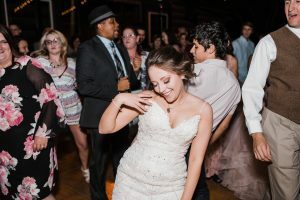 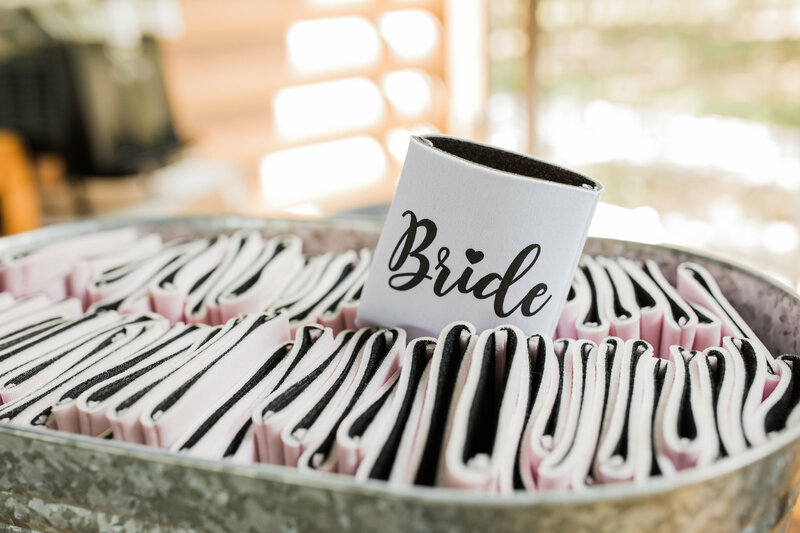 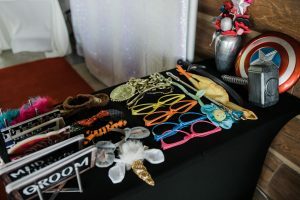 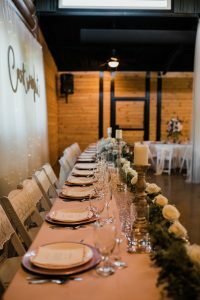 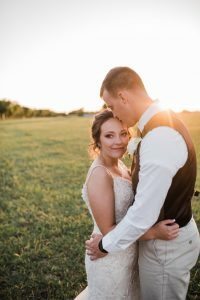 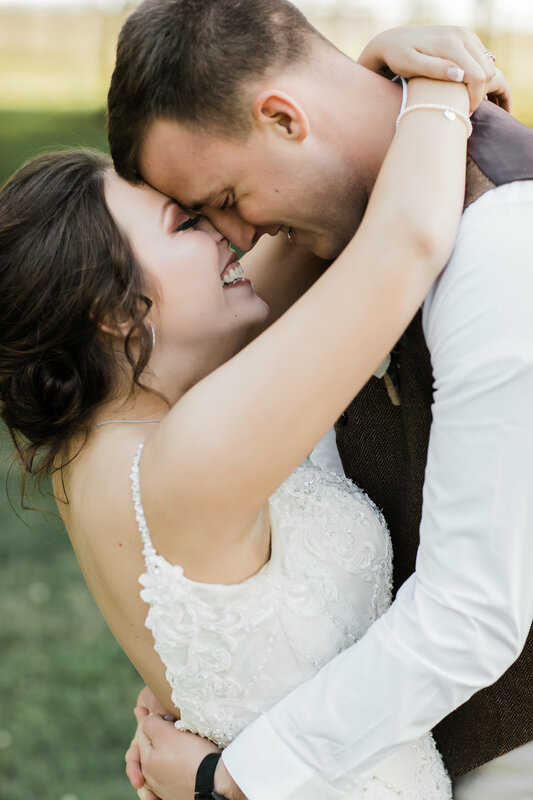 Here is a list of their beautiful vendor team and a glimpse into what it took to bring this wedding day alive and glow. 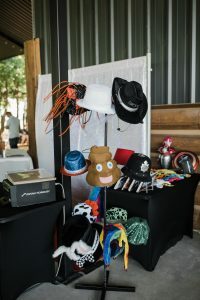 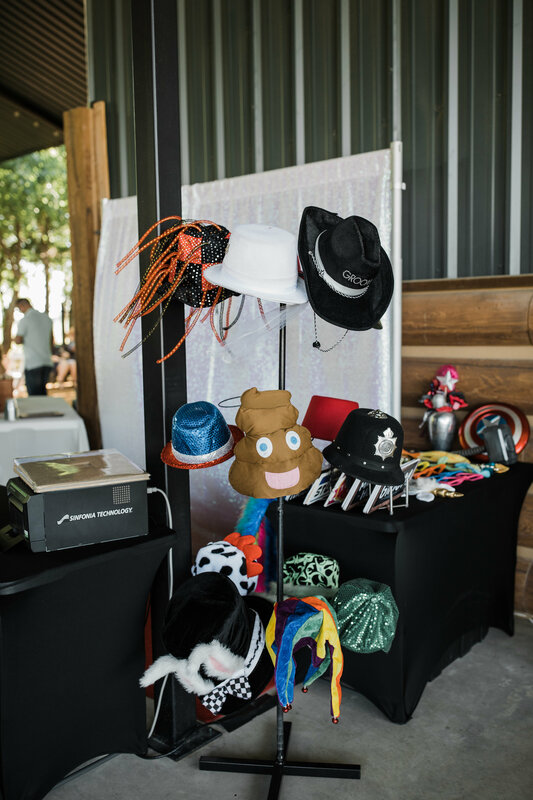 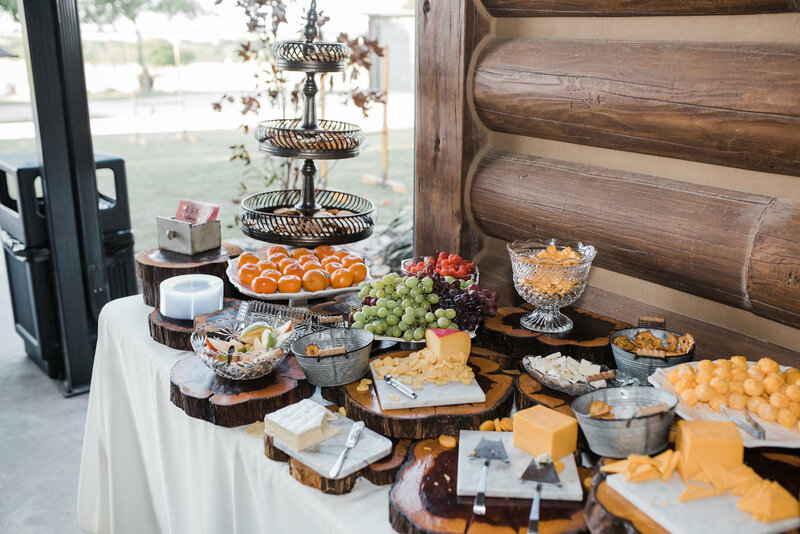 Caterer: Pepper Belly || Photo Booth: Picture This!